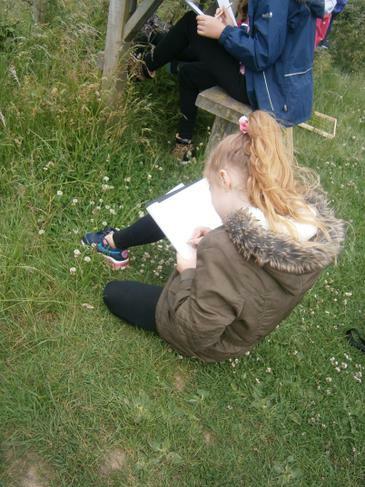 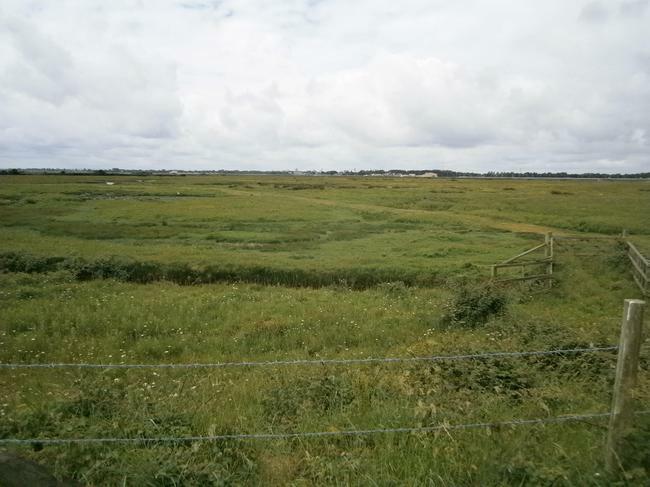 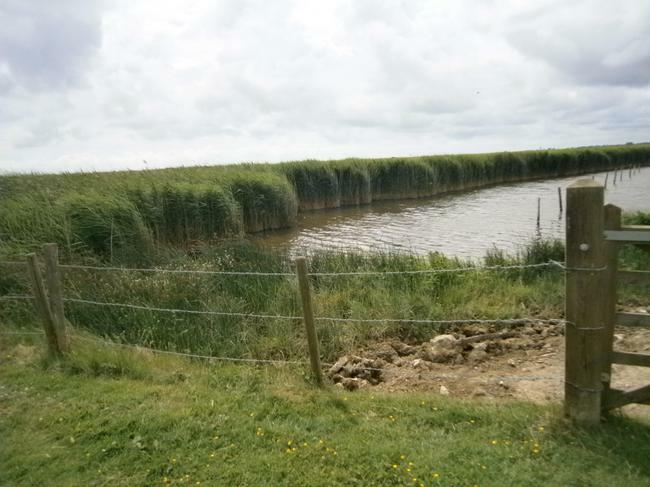 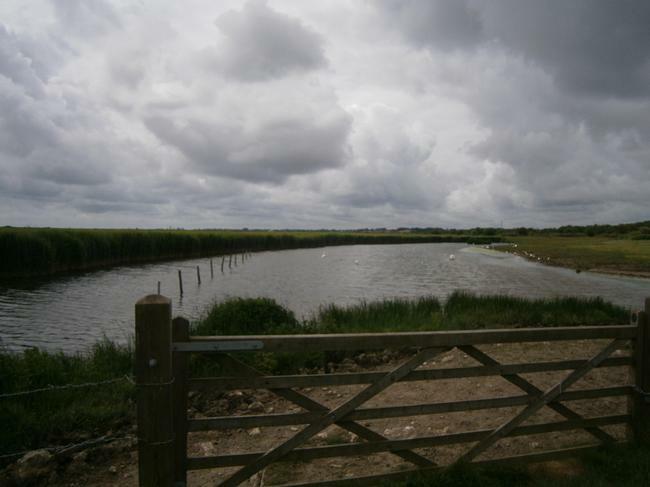 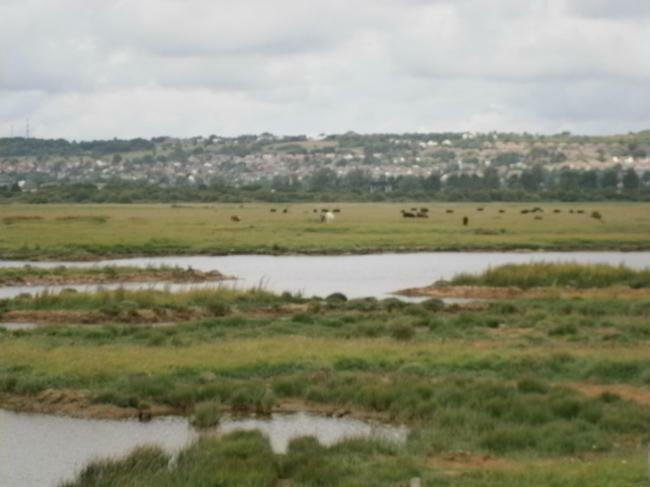 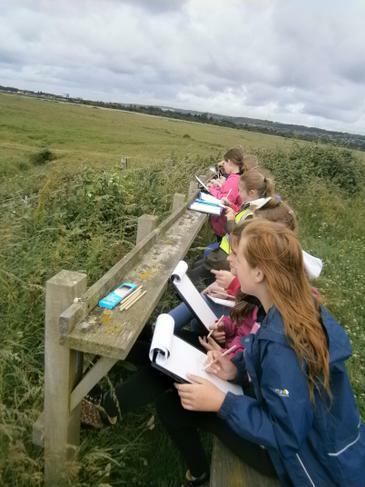 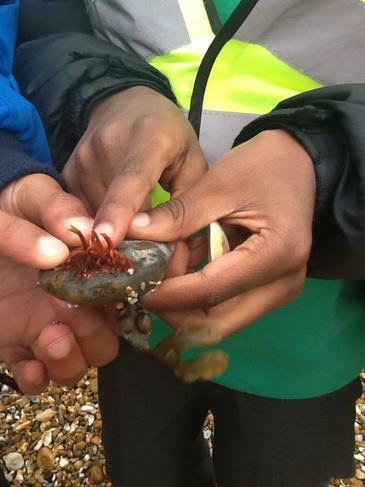 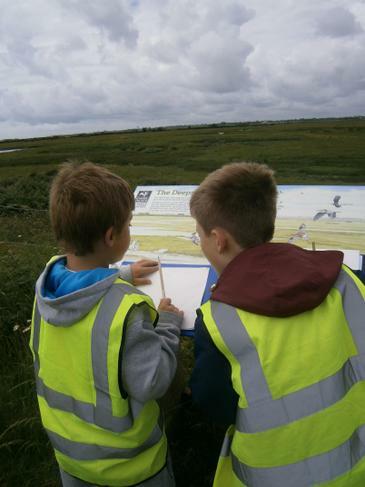 An expert group visited Farlington Marshes to compare the environment, wildlife and vegetation to our school meadow. 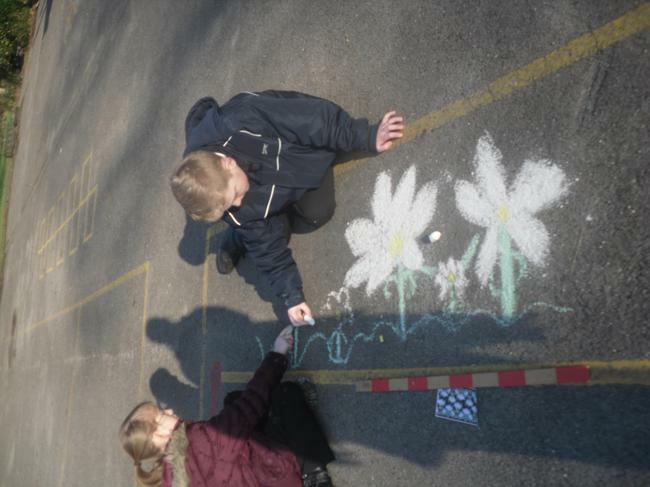 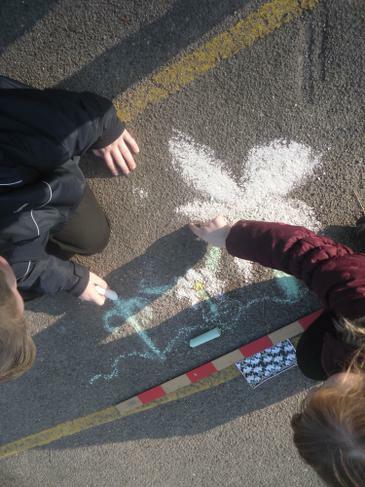 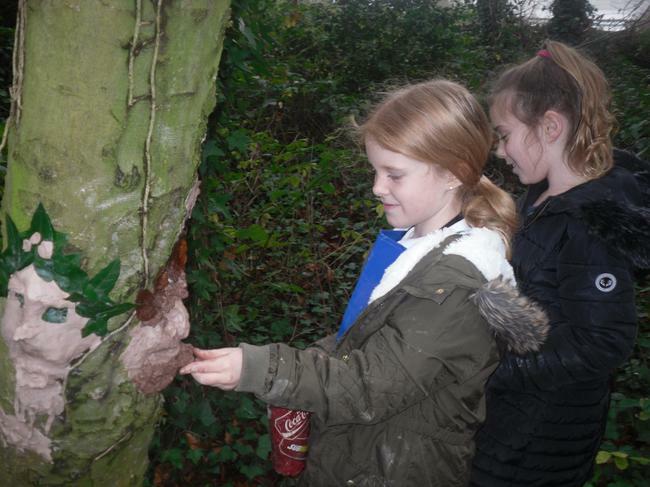 The expert group investigated the effect footfall has had on the vegetation by exploring signs of erosion. 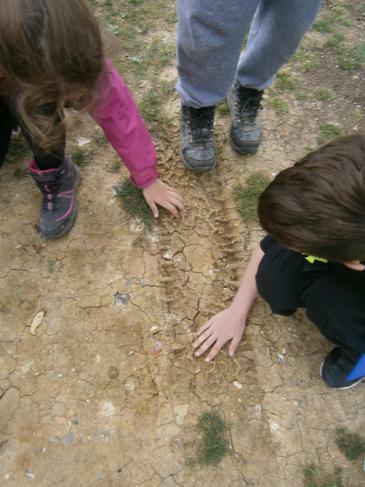 They also discussed what other causes of erosion may be effecting the marshland. 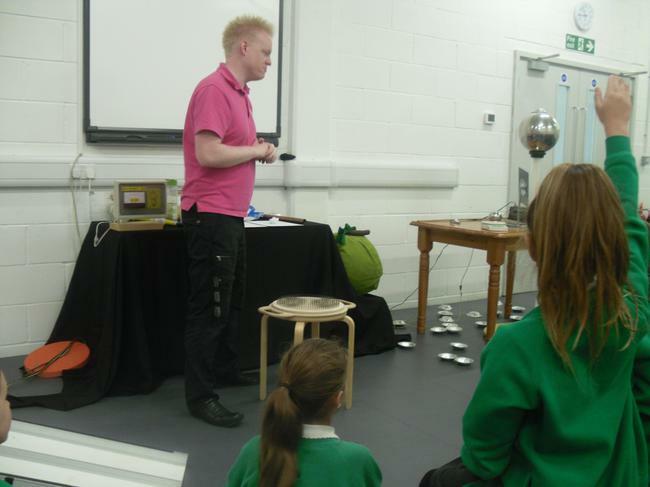 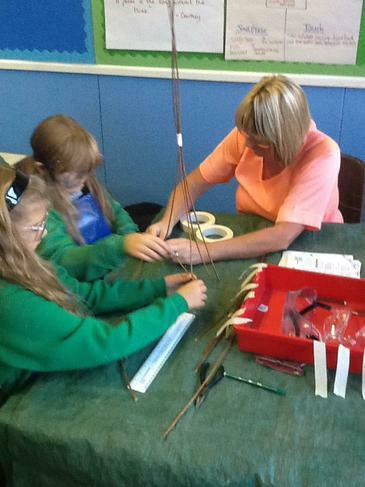 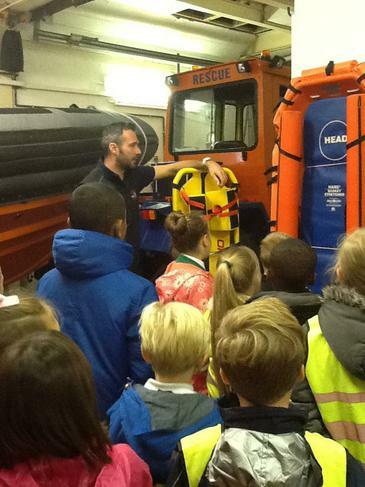 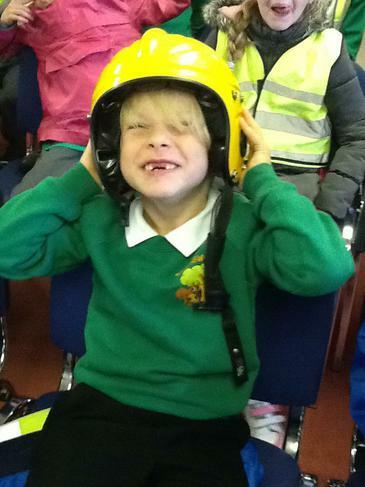 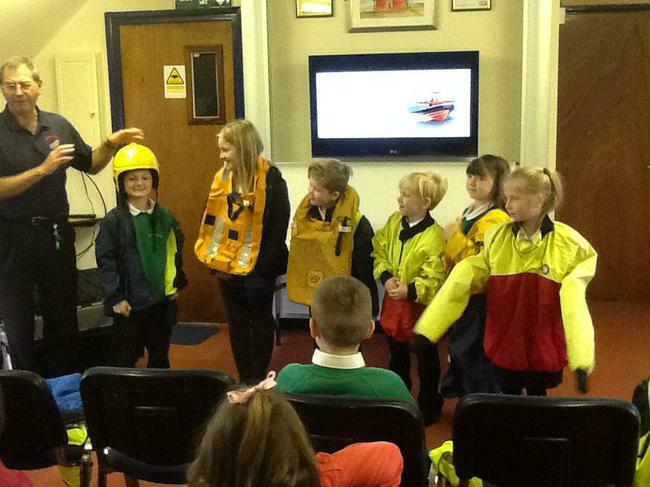 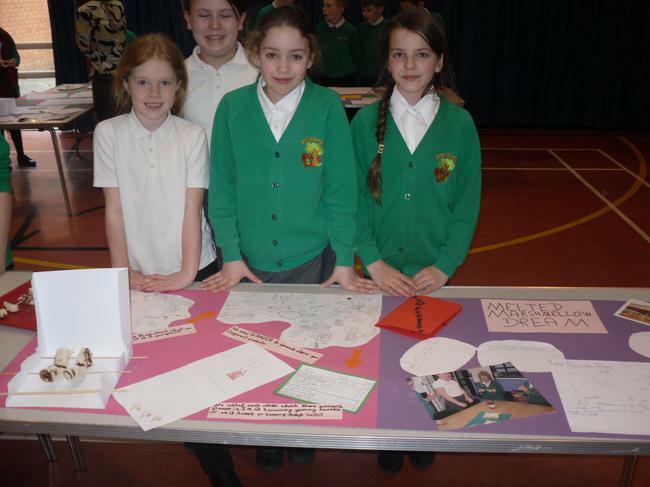 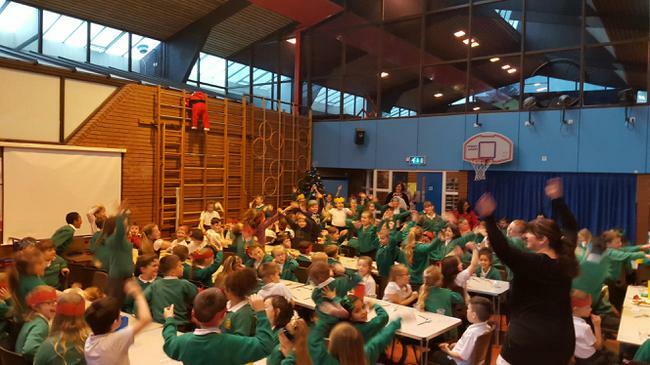 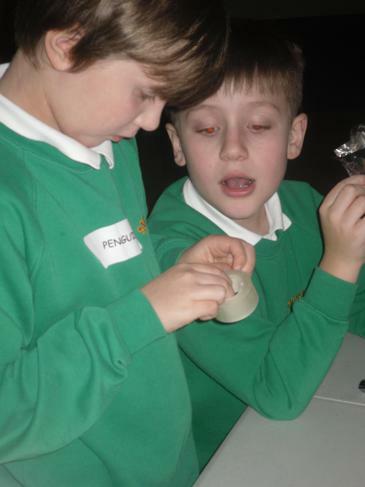 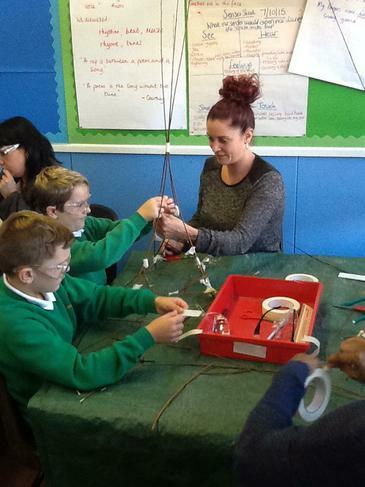 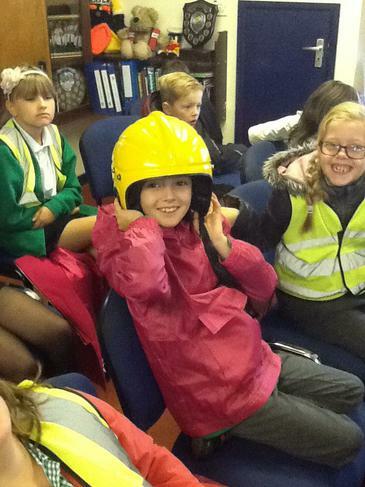 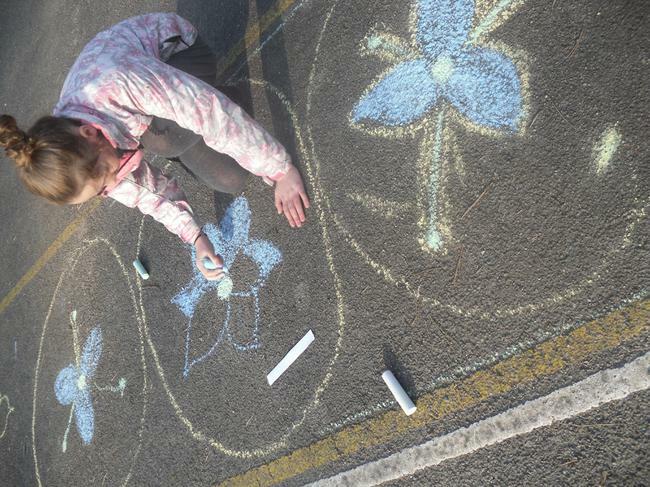 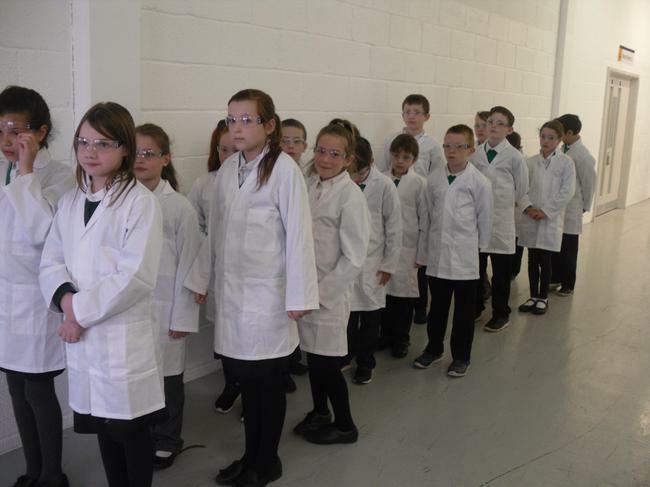 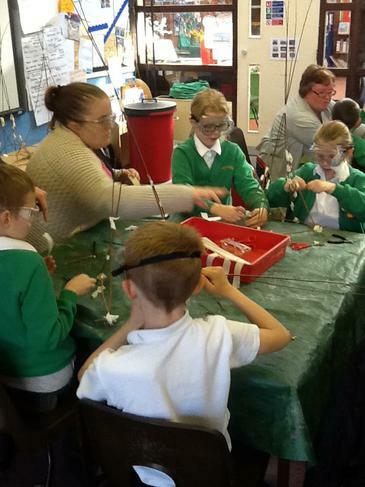 A group of Year 5 children were invited to attend Crookhorn's Bright Buttons event. 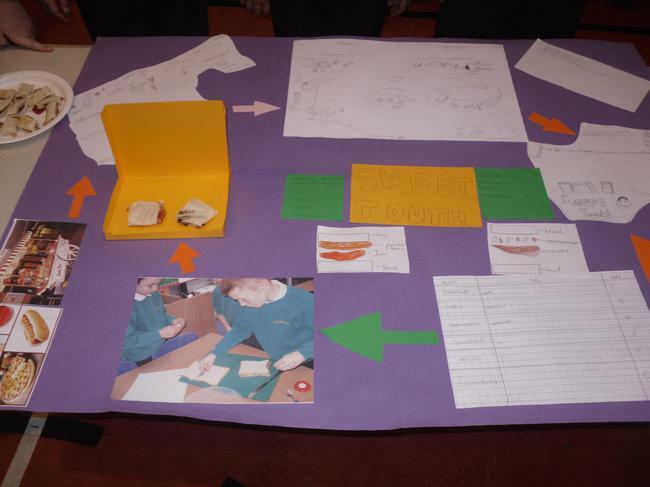 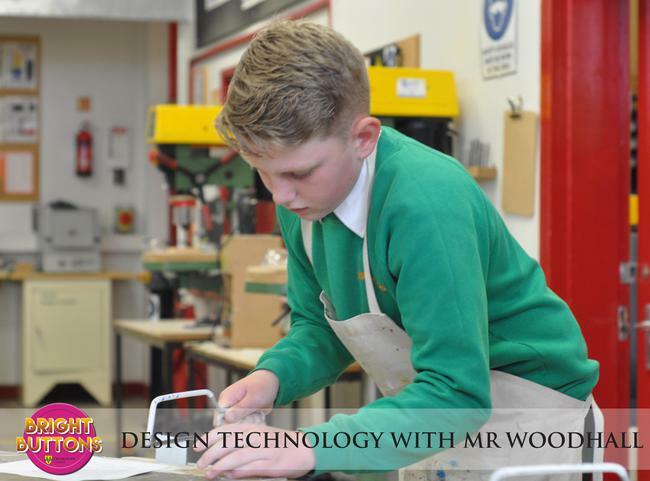 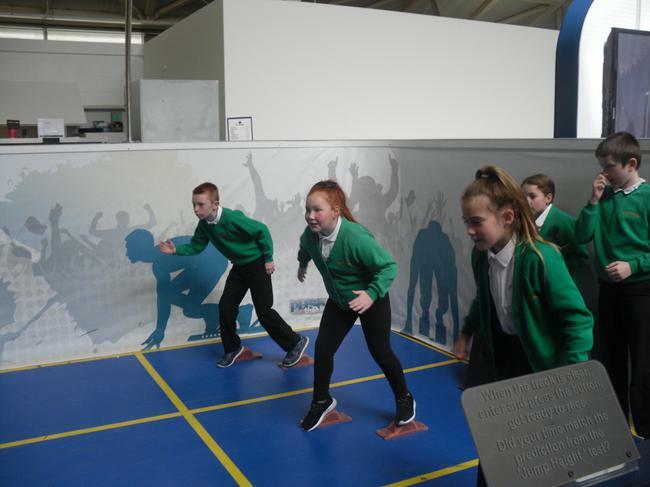 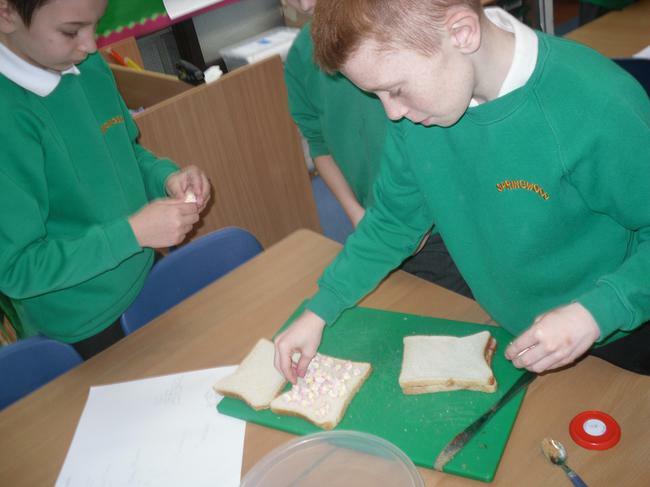 The children participated in a variety of tasks aimed at high achievers and were challenged in subjects such as English, maths, DT and R.E. 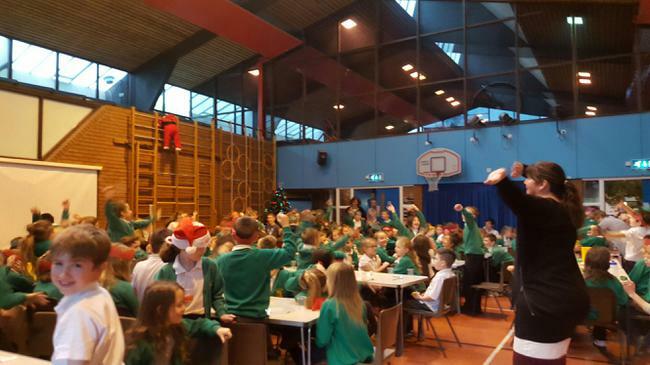 What a fantastic day shared across the whole federation. 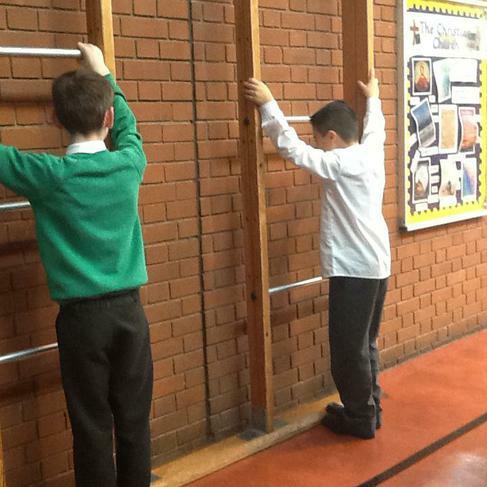 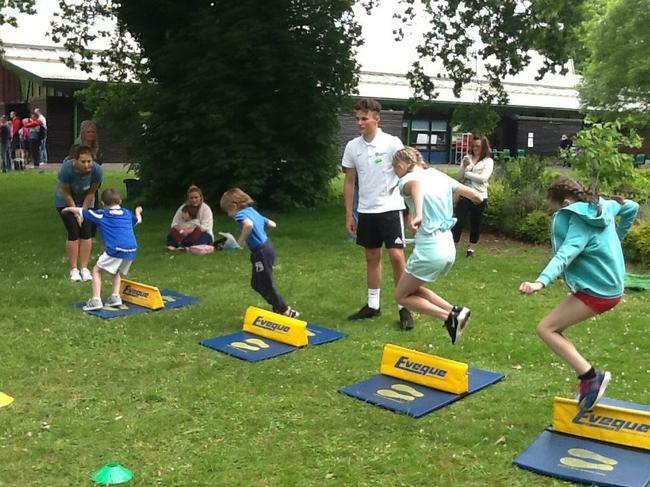 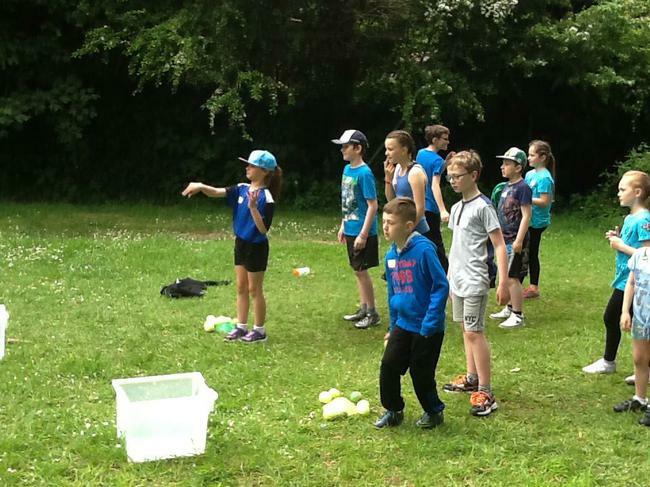 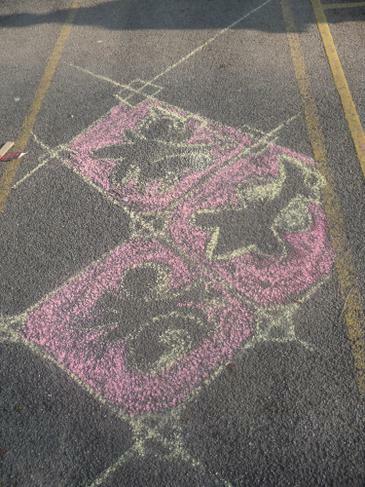 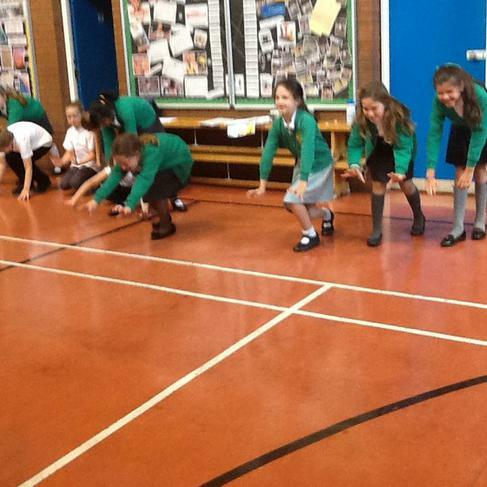 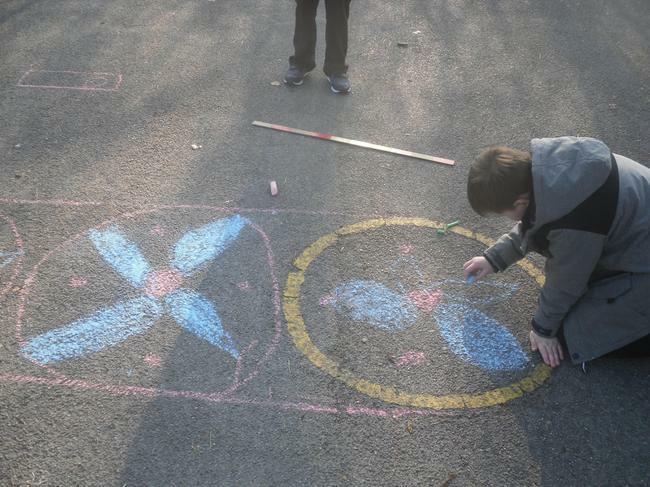 The children demonstrated athletics skills and reflected on their own and others' abilities. 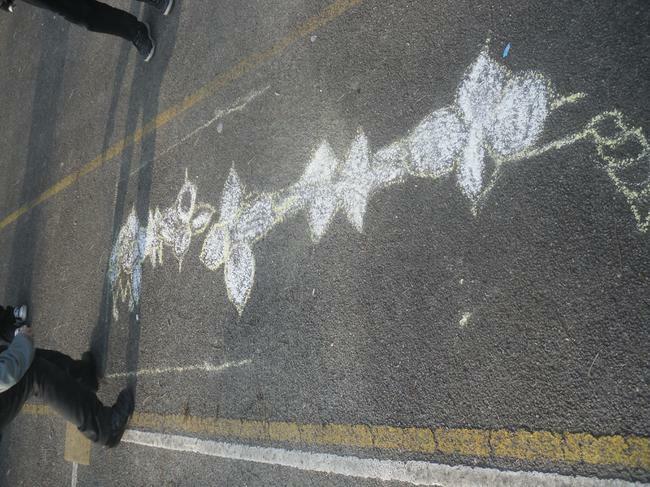 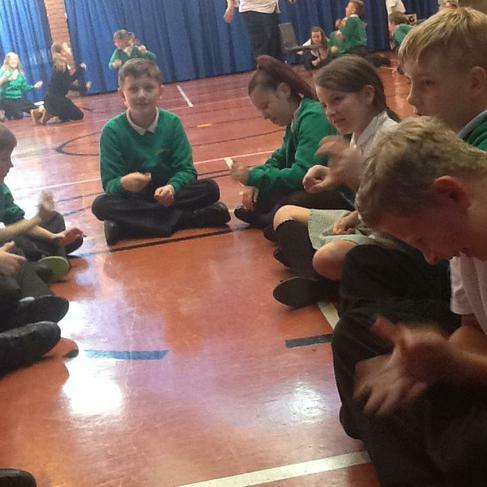 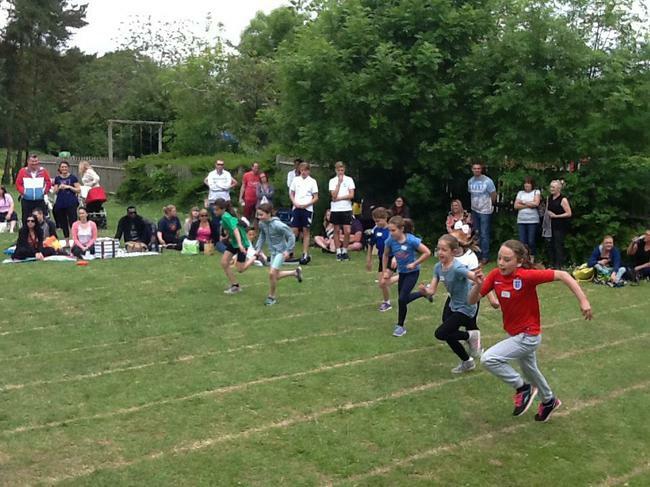 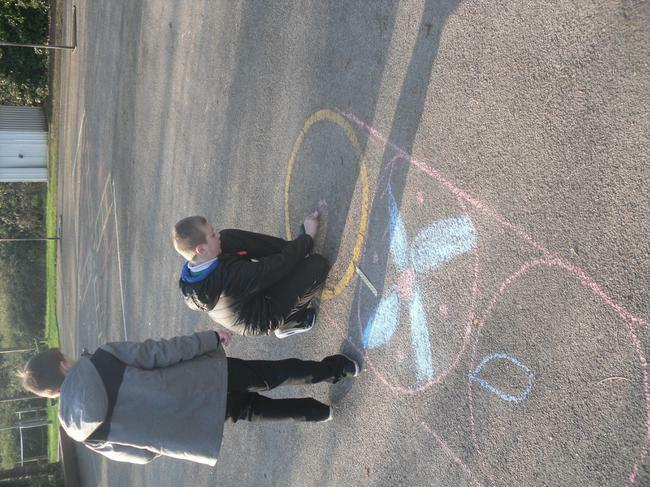 They also took part in competitive races and showed sportsmanship towards their peers. 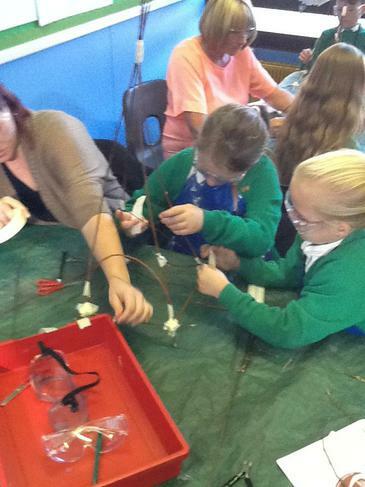 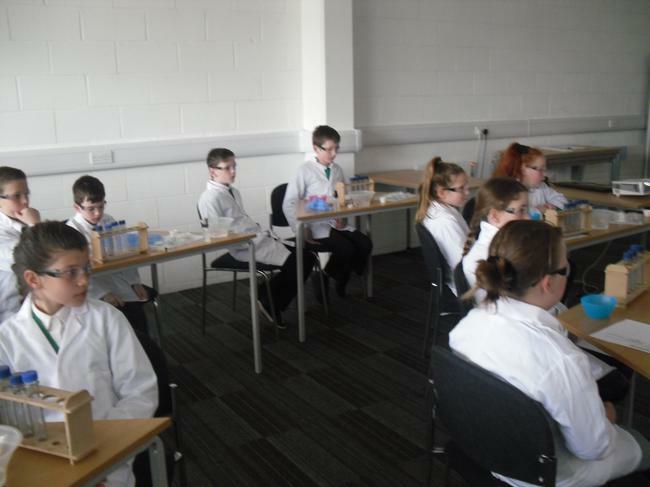 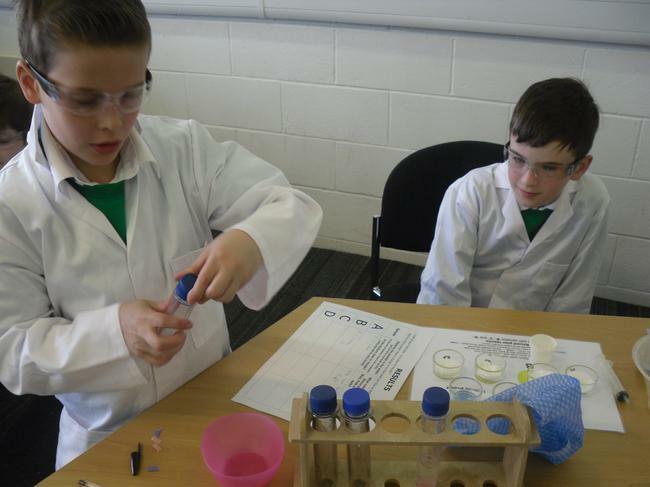 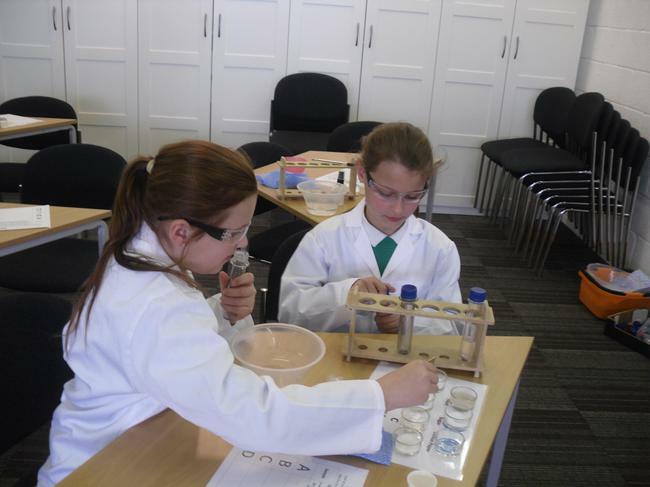 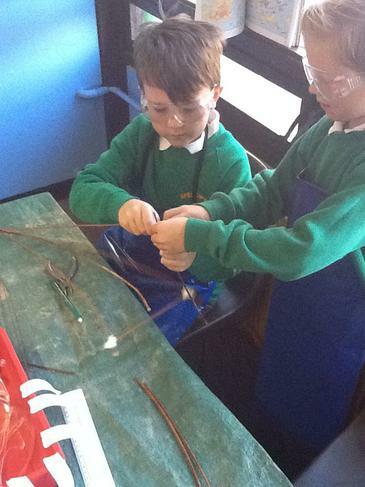 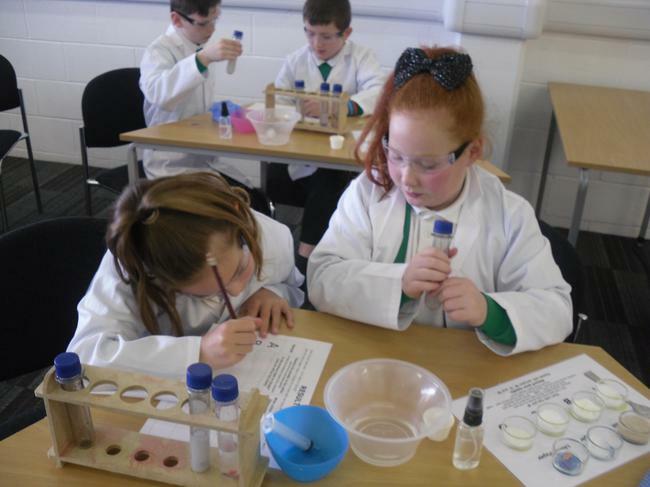 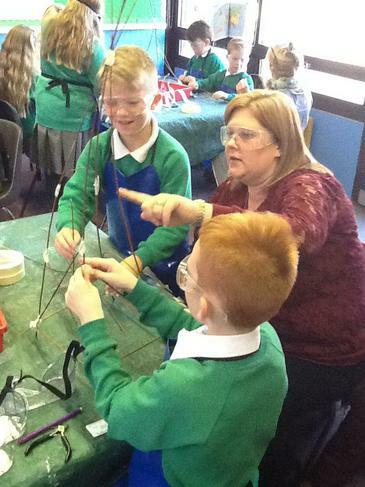 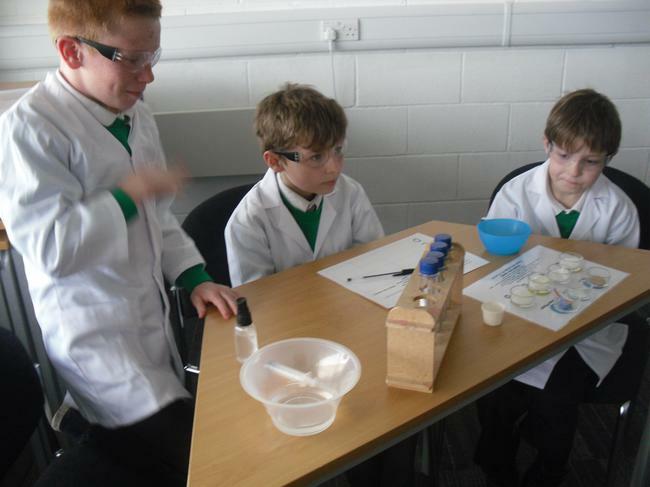 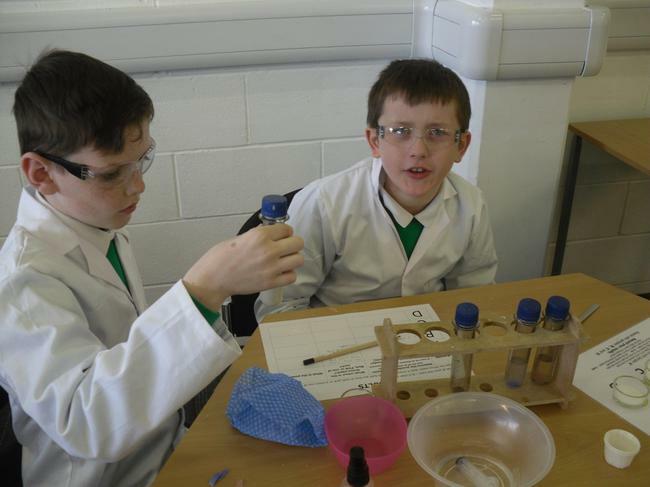 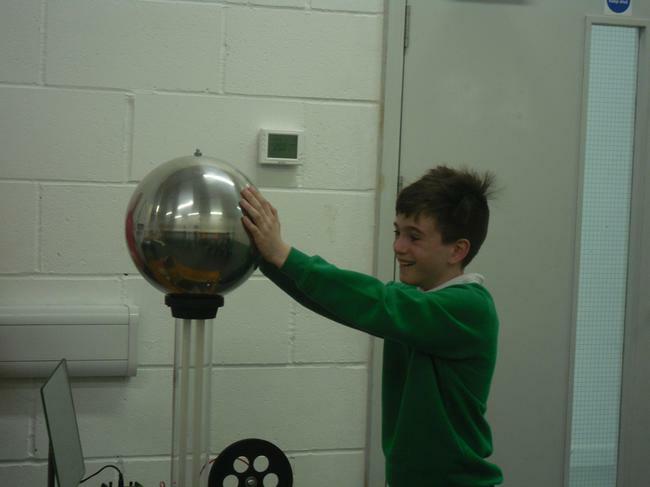 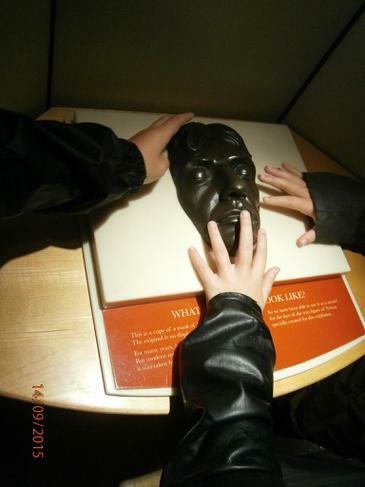 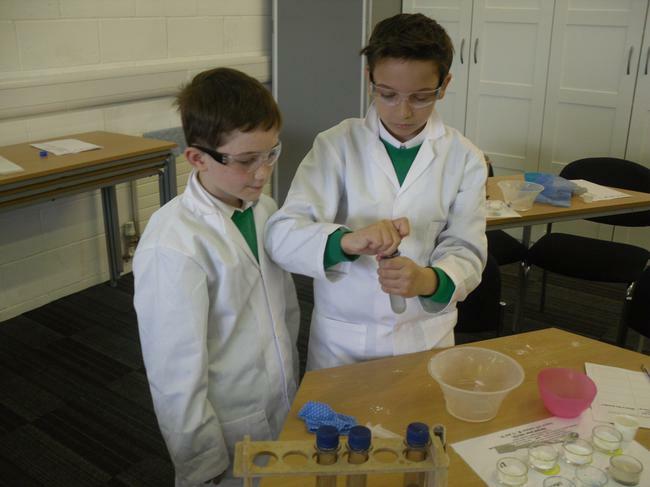 Year 5 visited Winchester Science Museum to explore forces and chemistry. 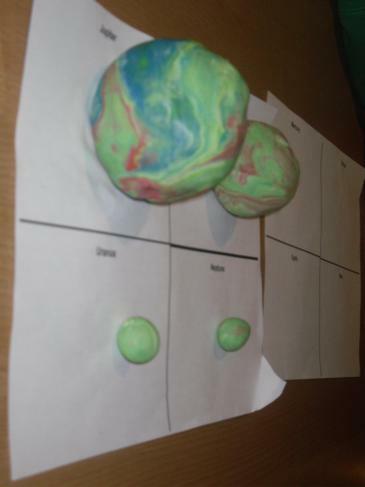 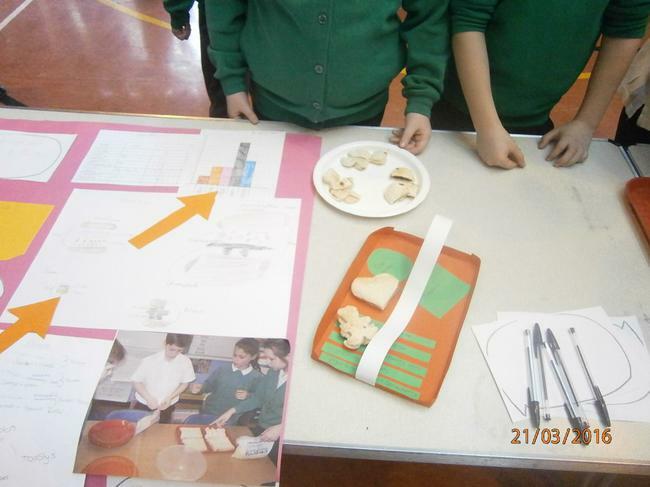 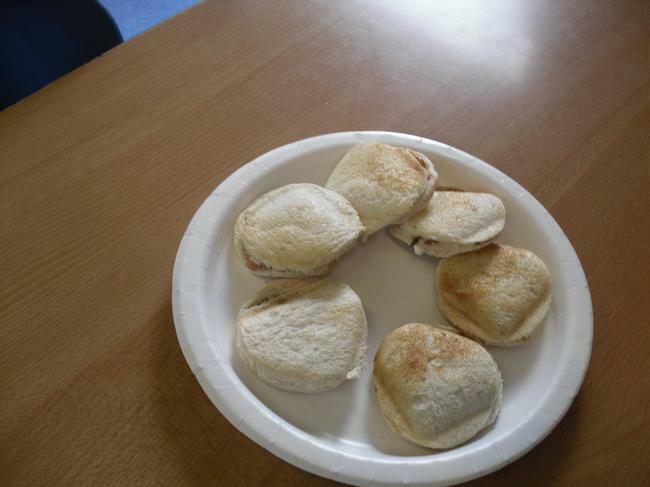 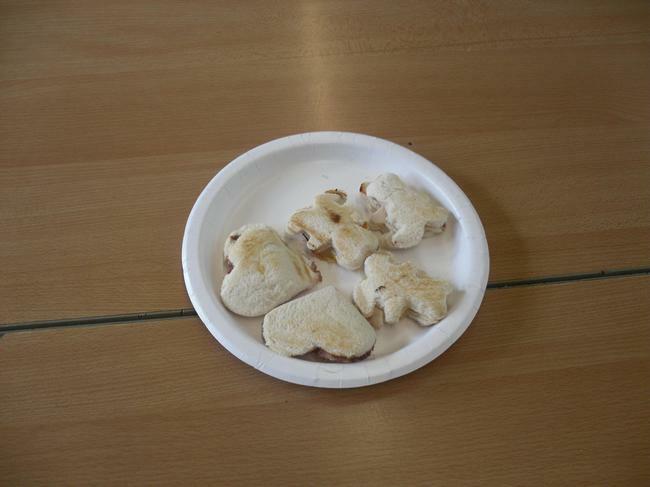 The children investigated kitchen products to find out whether they were acid or alkaline and used these products to make bath bombs. 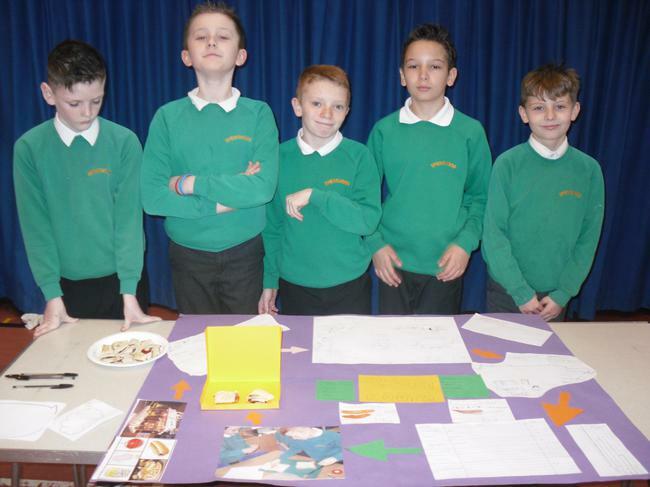 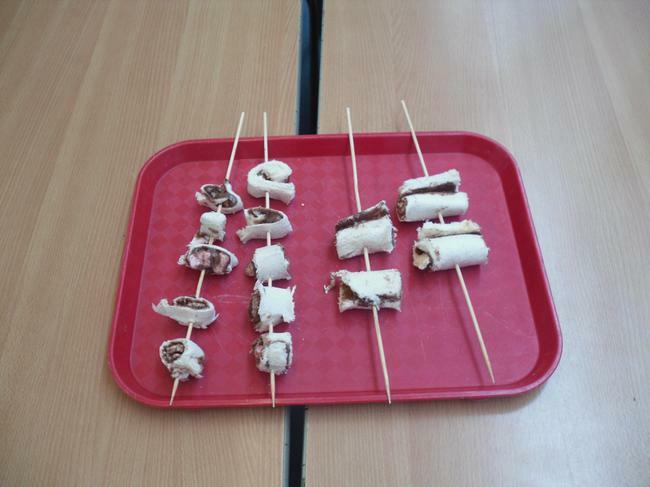 Food Technology - Fun at the Funfair! 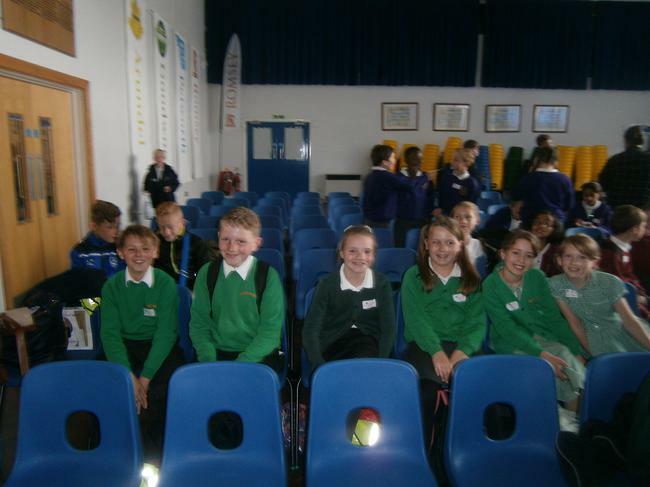 Congratulations to the expert group who represented Springwood at the Crookhorn Maths Olympiad. 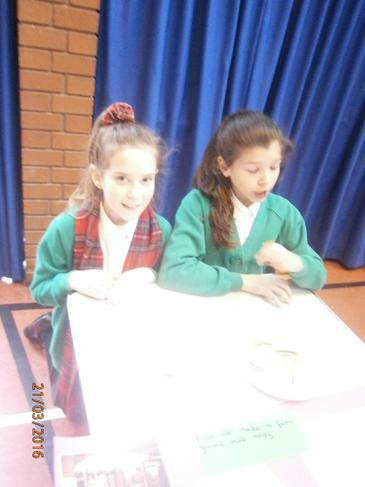 The event is an annual competition which promotes mathematics through a series of fun and simulating challenges. 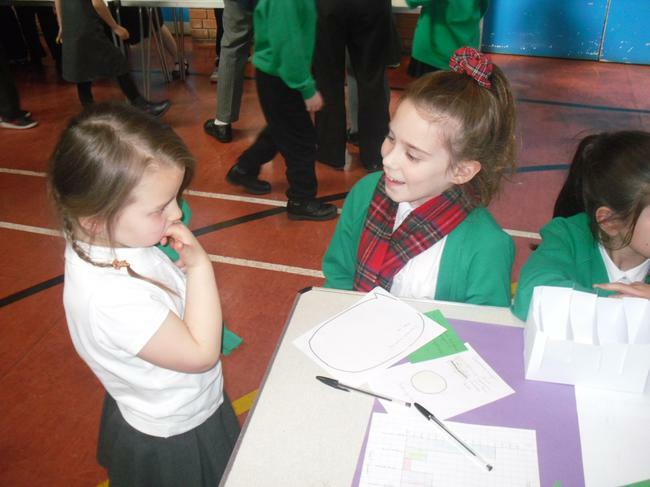 The children had to work collaboratively to solve problems and reason mathematically. 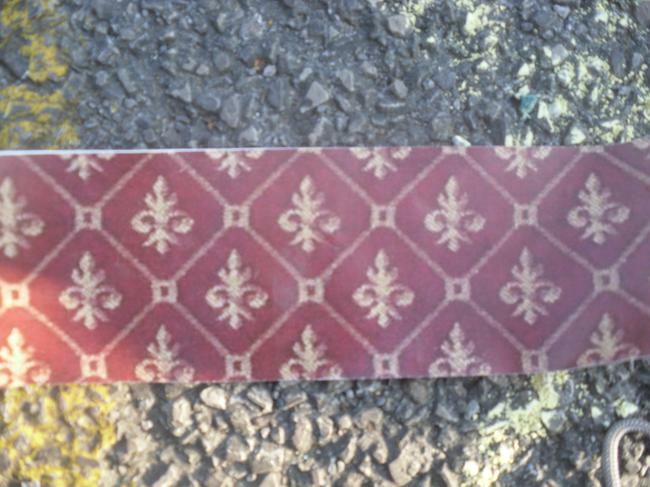 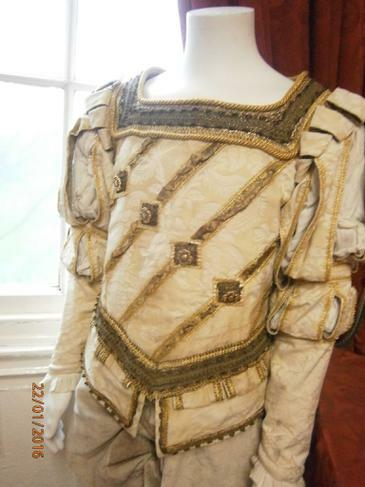 The Tudors reigned from 1485 to 1603, we worked out that they reigned for 118 years! 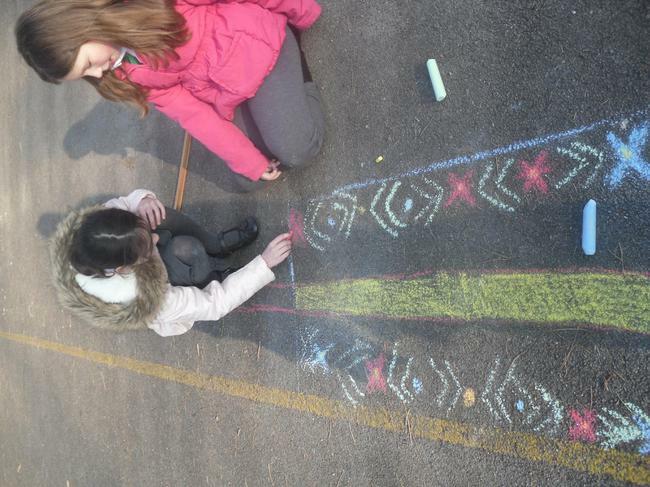 In groups, Year 5 created their own timelines. 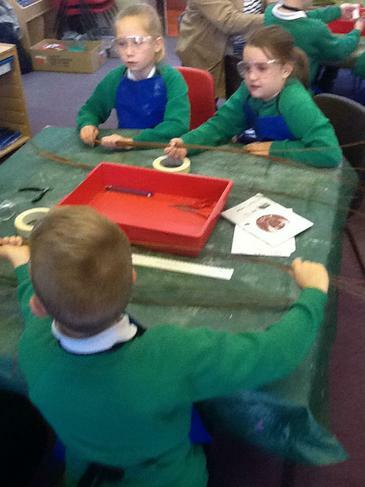 They decided the scale of their timelines by using a metre stick. 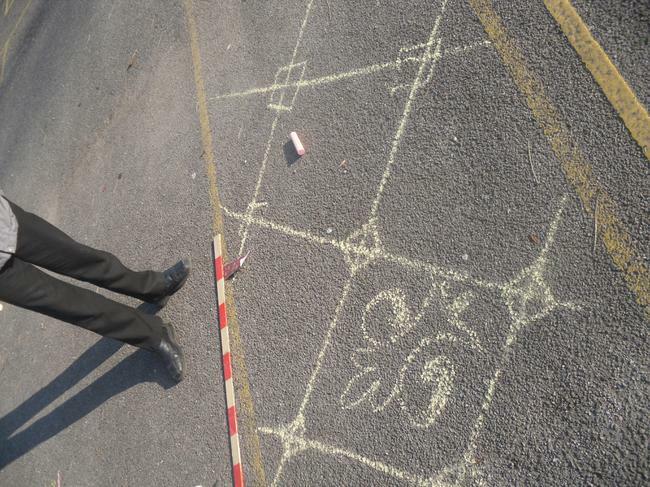 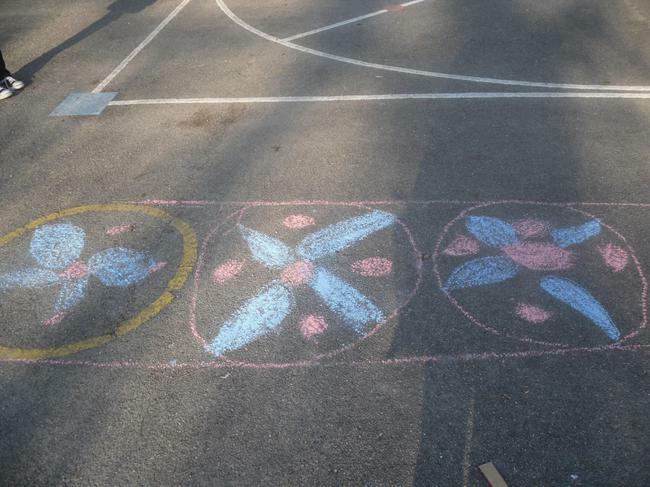 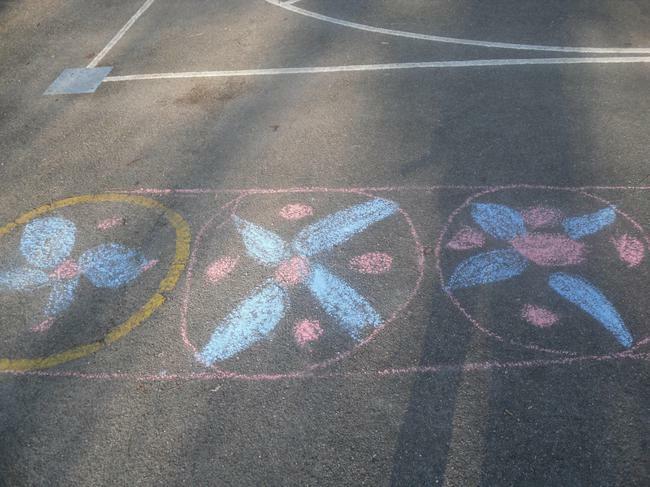 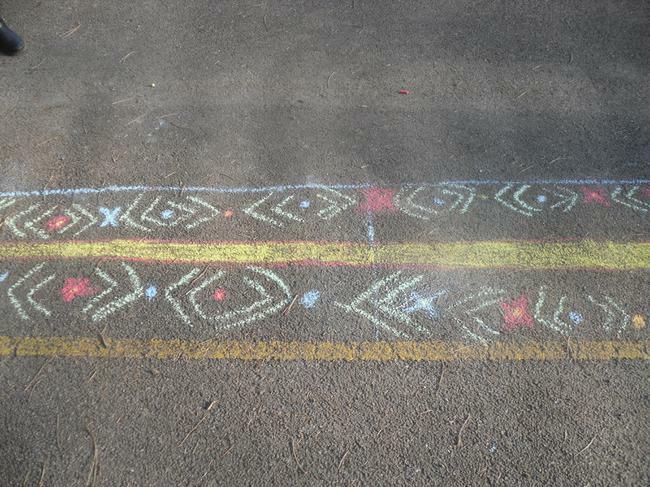 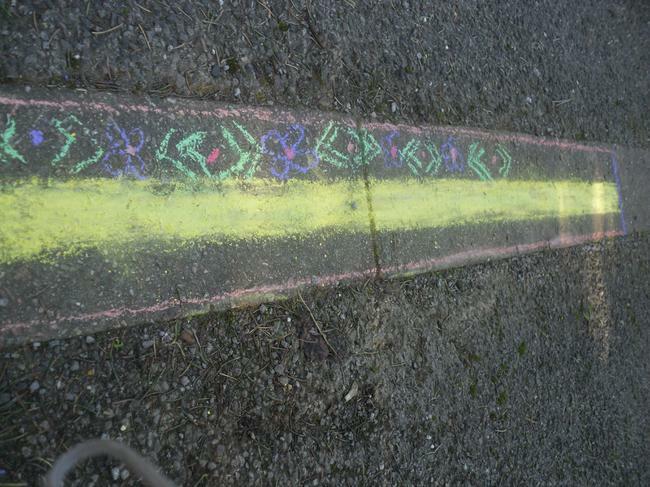 Some decided that 1metre = 10 years, others decided that 1metre = 20 years and one group decided that 1metre = 40 years. 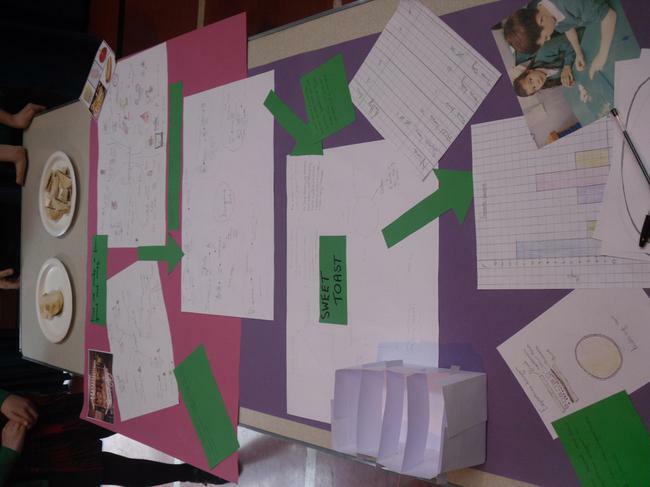 They then went on a search for key information about this period of history and placed these dates on their timelines. 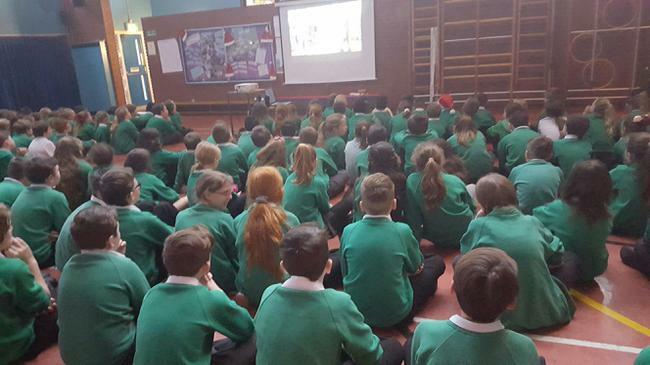 Once the information was placed on the timelines, Year 5 found out how long the Kings and Queens reigned for and then discussed who they thought had the most and least impact on our country and why. 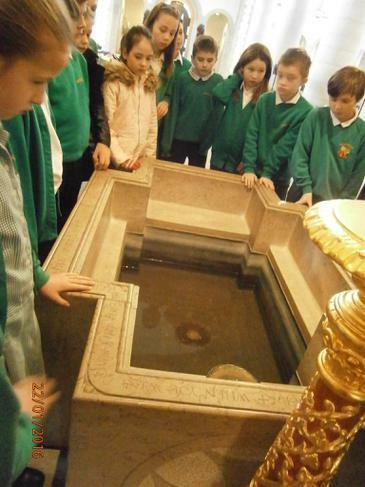 Year 5 visited Portsmouth Cathedral and learnt about the history of the building. 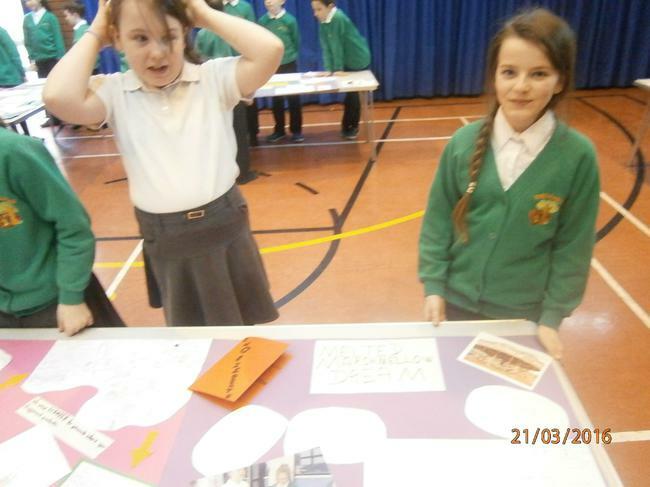 The children identified Tudor features and enquired about Henry VIII's influence on The Church of England. 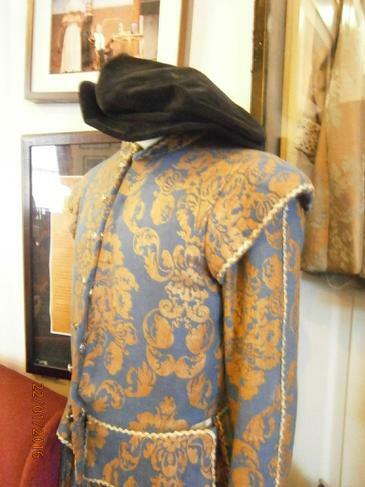 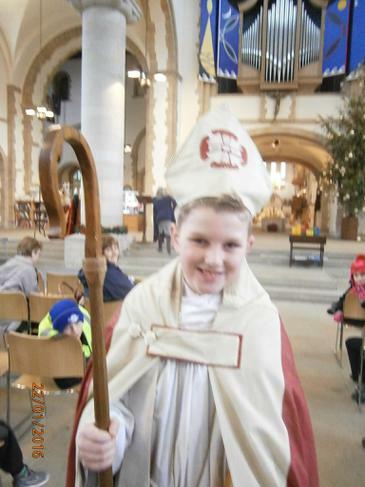 Whilst at the Cathedral, the children were able to look at clothing worn by Priests and Bishops and recognised Tudor patterns which have been explored in class. 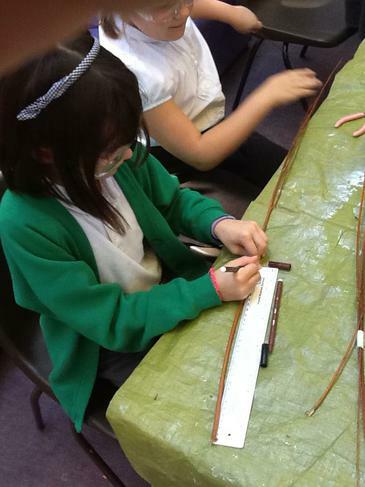 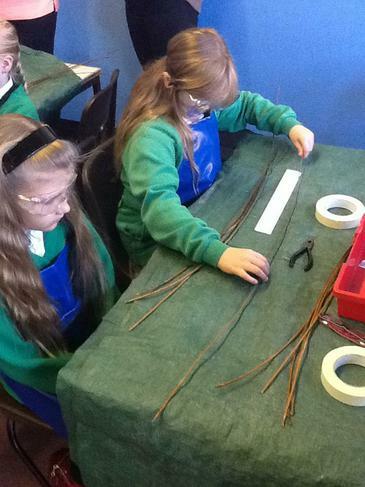 The children undertook a weaving workshop where they practised the weaving technique which would have been carried out by poor people in the Tudor period. 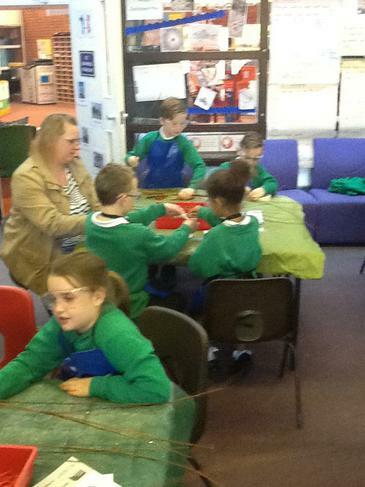 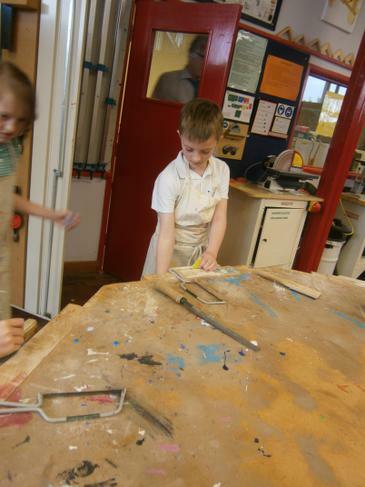 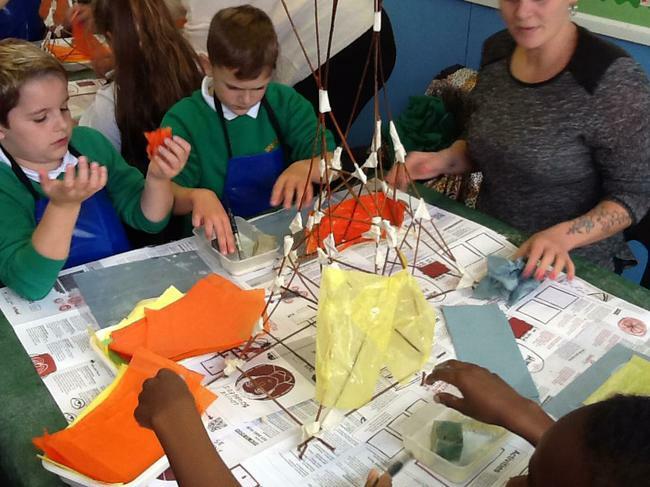 A volunteer from the Cathedral was impressed with the children's behaviour; " They were involved, enthusiastic and obviously very interested in the workshop. 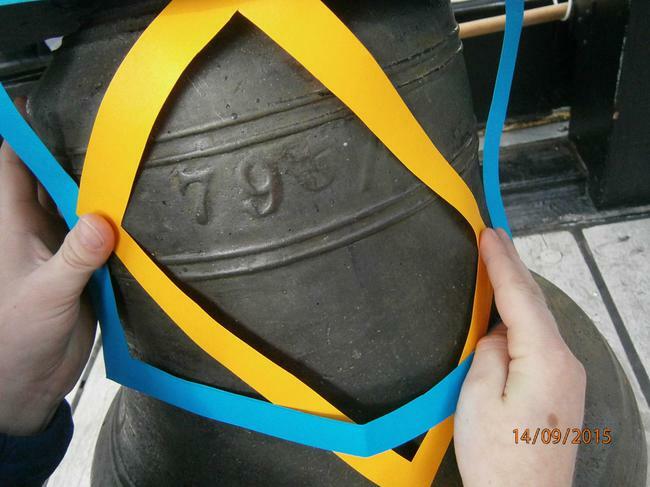 They treated the Cathedral with respect and it was a pleasure to have them with us. 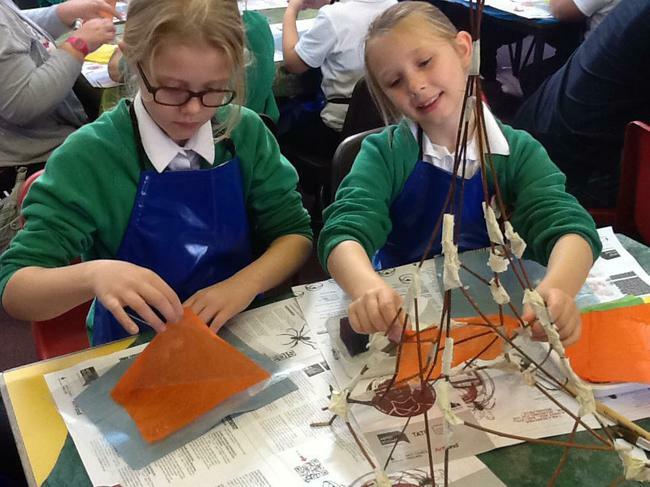 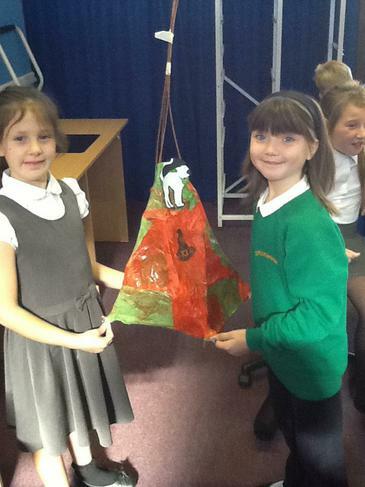 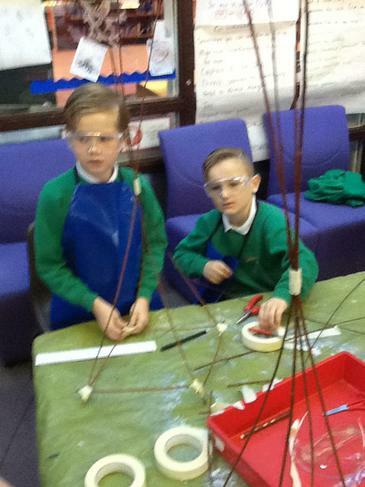 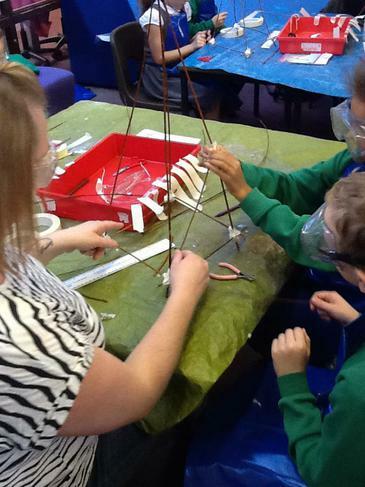 On a cold, wet and miserable morning, the children brought the Cathedral to life." 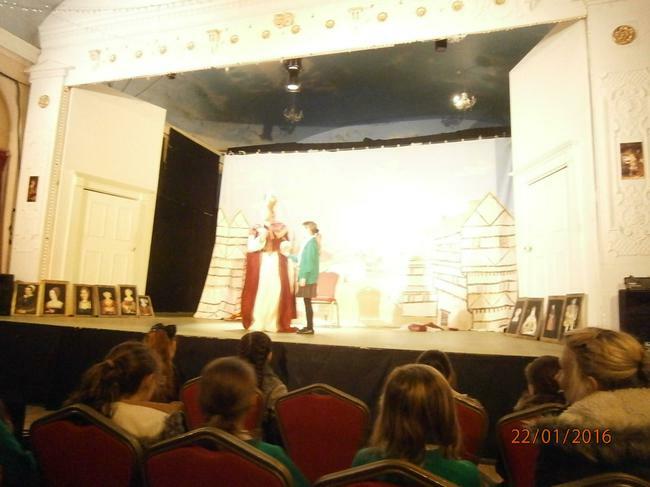 Year 5 then visited Groundlings Theatre where they watched a production about Tudor life, including King Henry VIII, Shakespeare and the Pope. 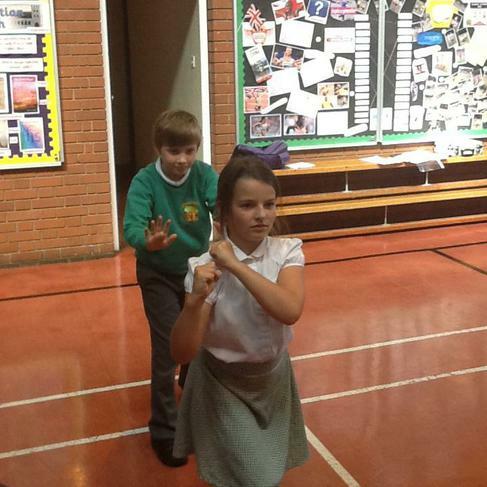 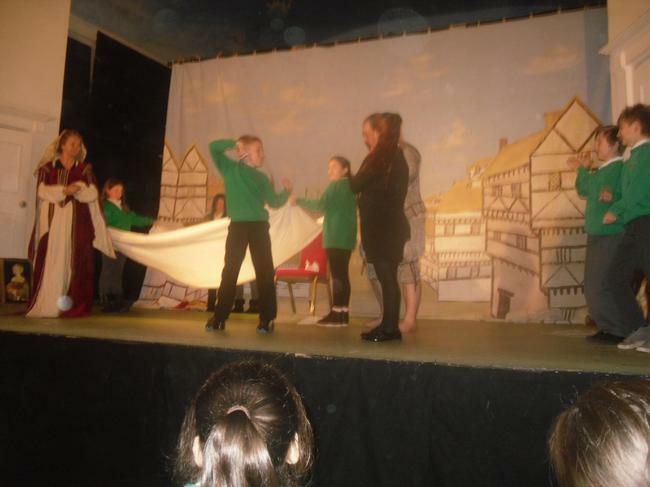 The children were then taught stage craft techniques and put them into practise when they performed a scene to portray an area of Tudor life. 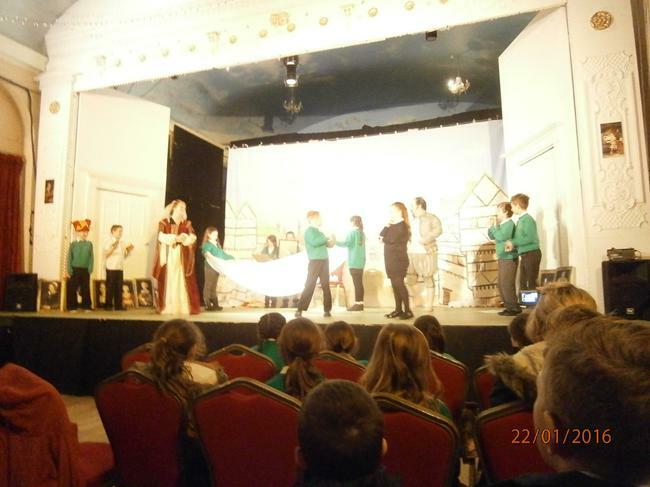 Some were actors in a Shakespeare play, others presented the different sports and trades and some presented the extravagant banquets. 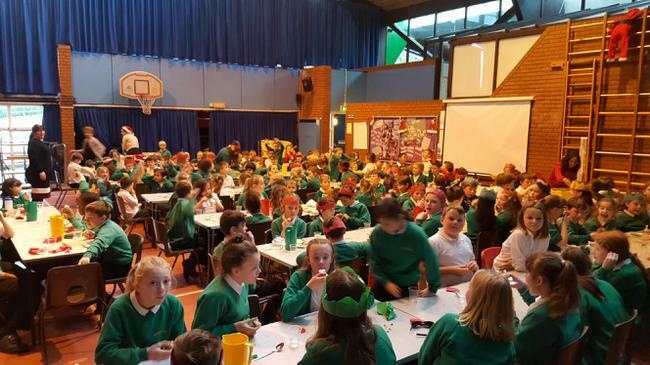 Possibly one of the largest Christmas dinners held today in Waterlooville. 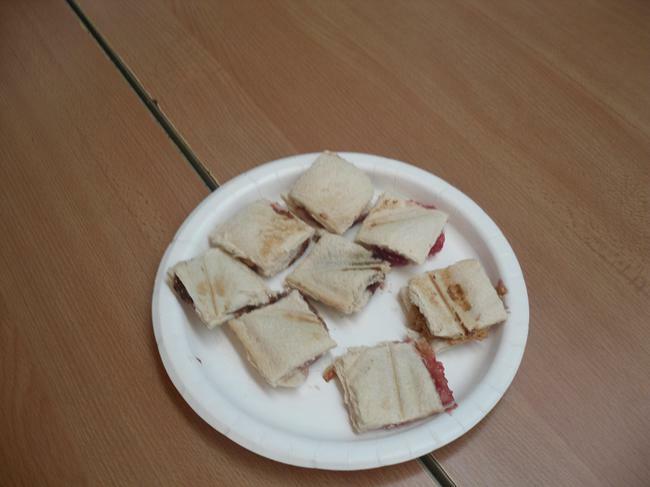 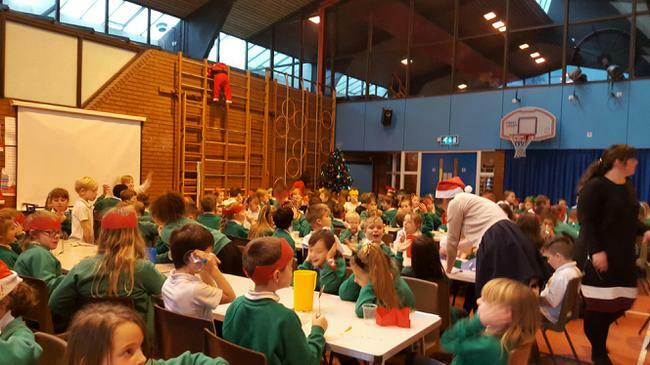 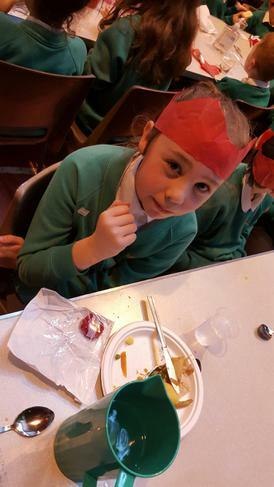 Springwood children were served their Christmas dinner by staff, pulled a cracker and sang along to a variety of Christmas songs handpicked by Mr Lathem. 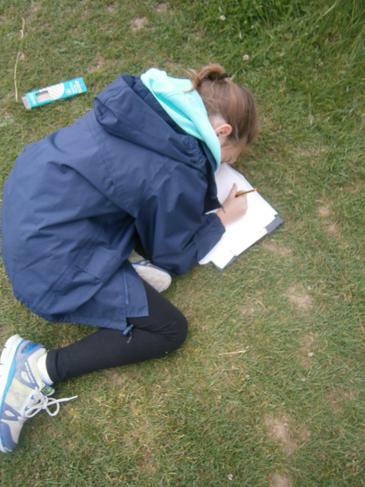 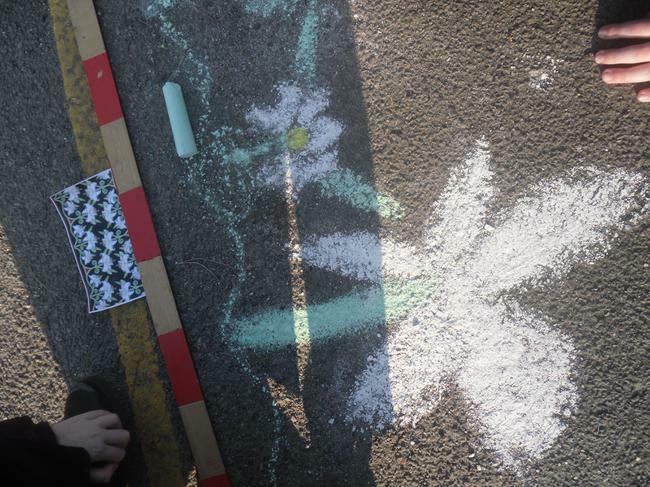 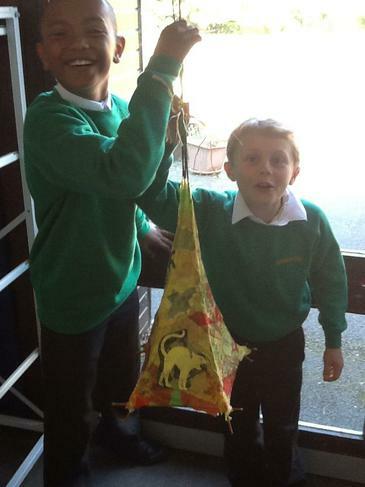 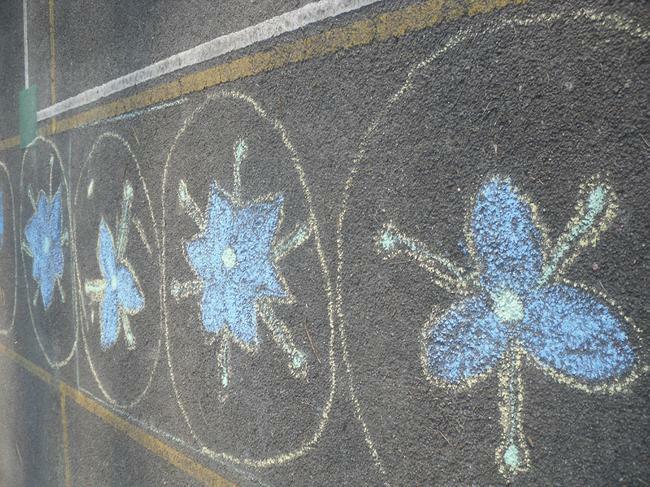 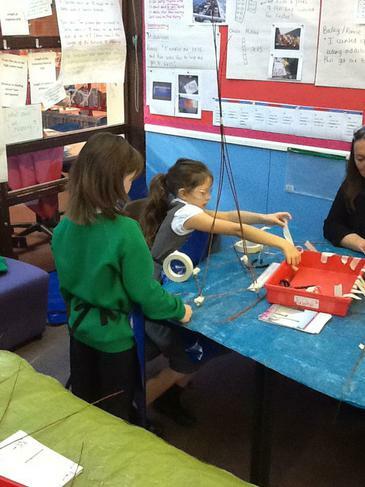 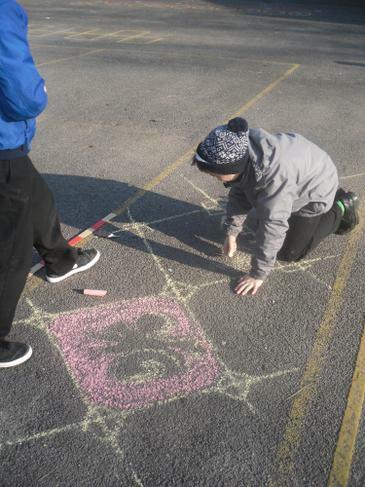 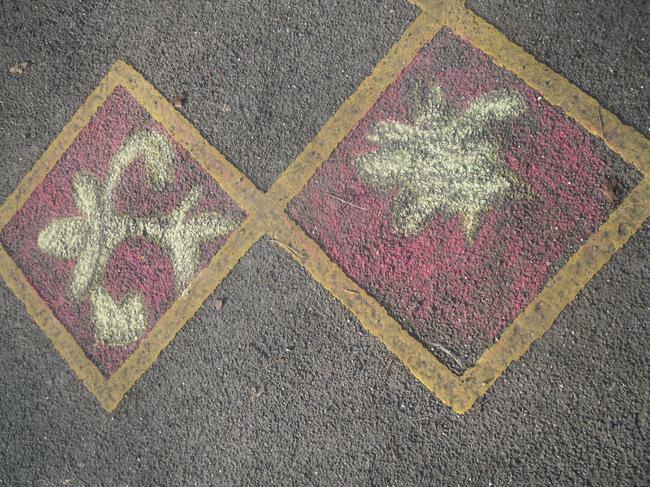 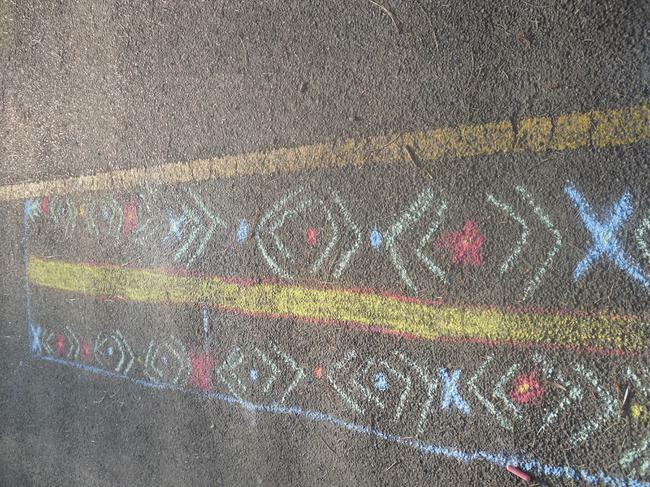 Year 5 have been evaluating work created by environmental artist David Gosling. 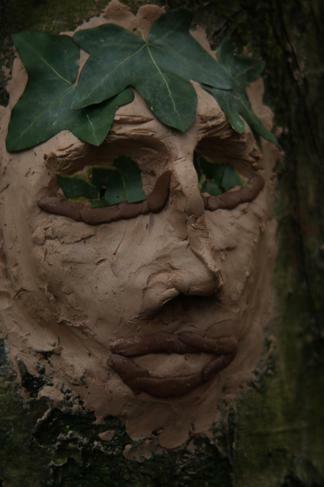 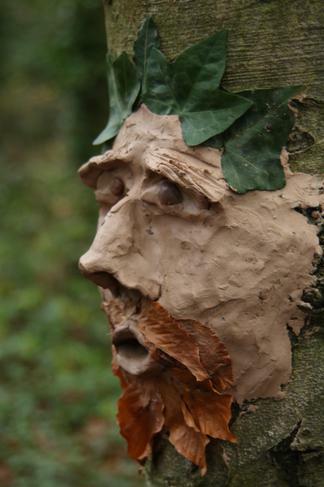 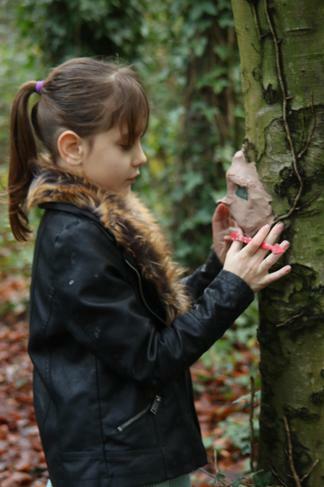 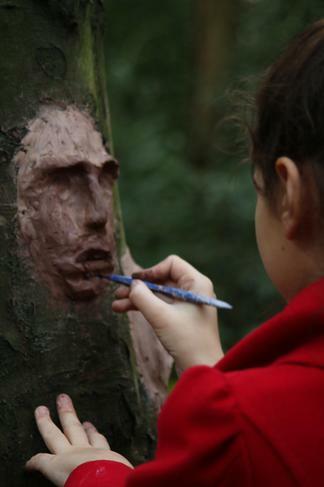 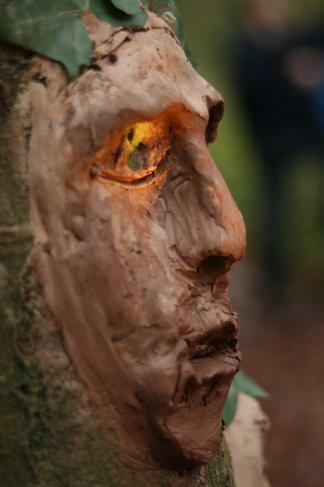 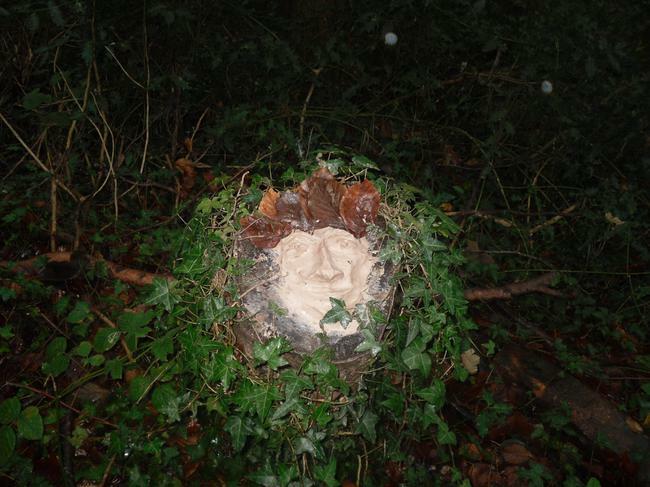 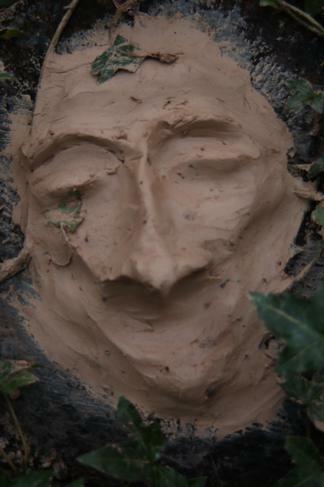 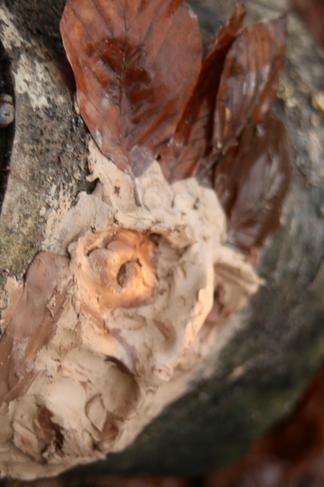 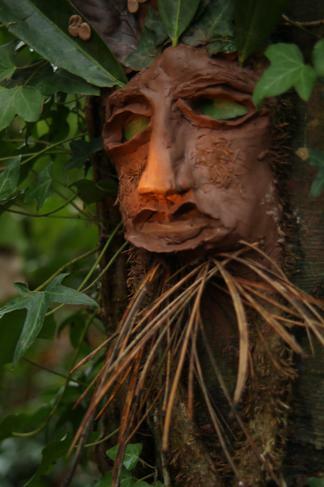 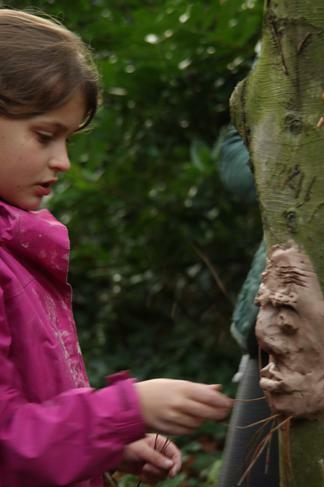 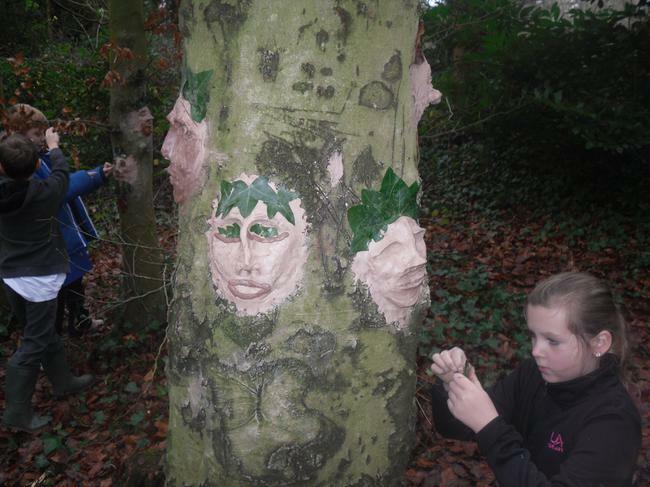 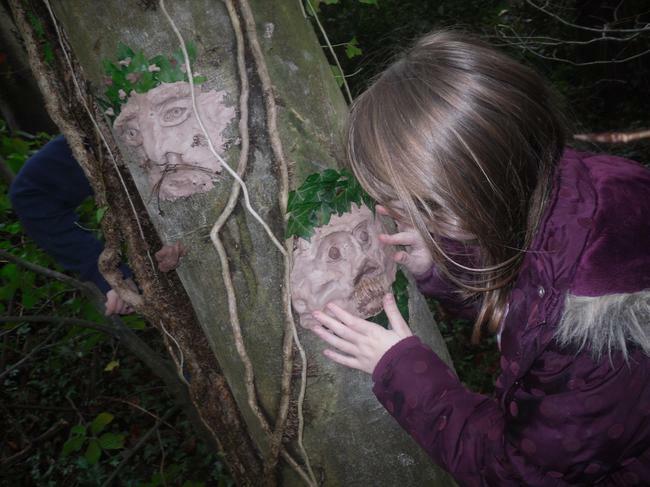 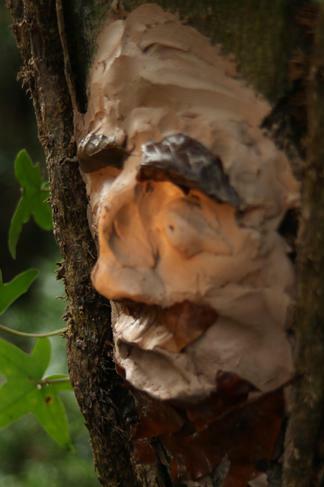 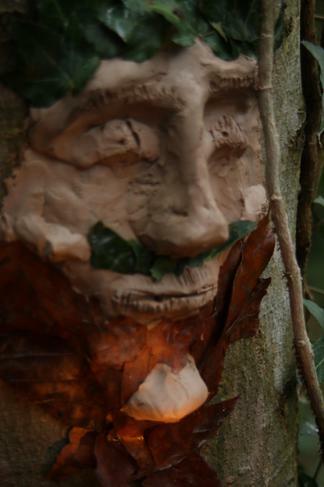 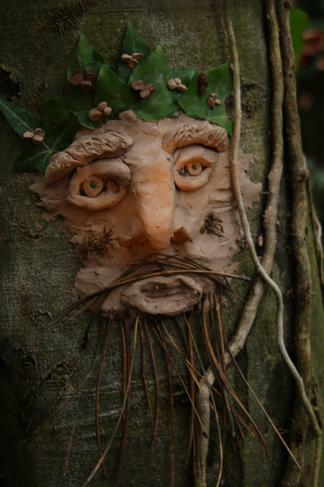 We were inspired by the sculptures of faces made from clay which had been moulded onto trees. 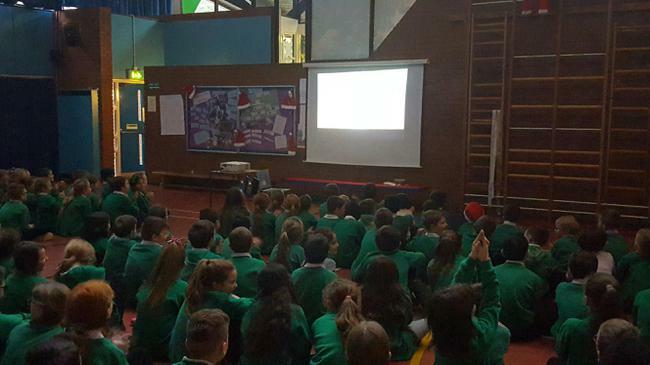 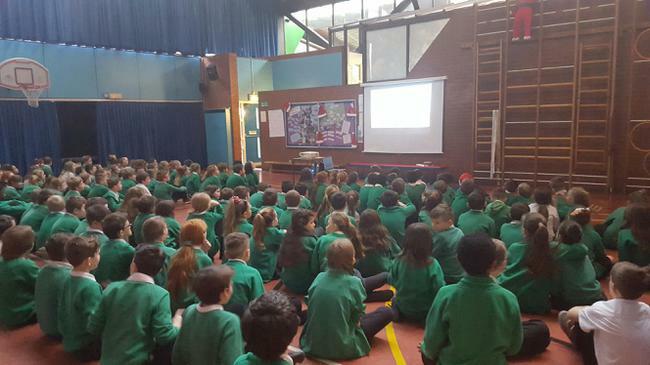 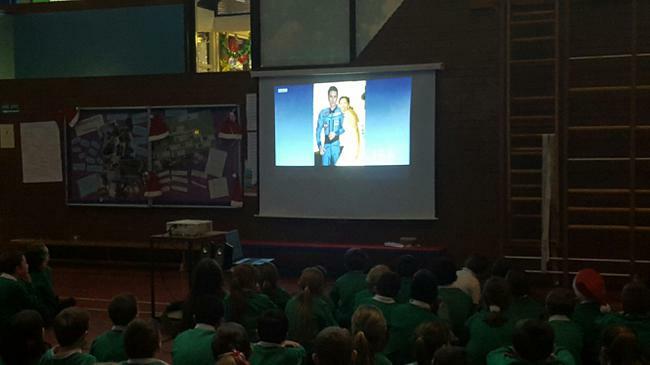 Springwood had the opportunity to watch the live launch of Tim Peake’s mission to visit the international space station. 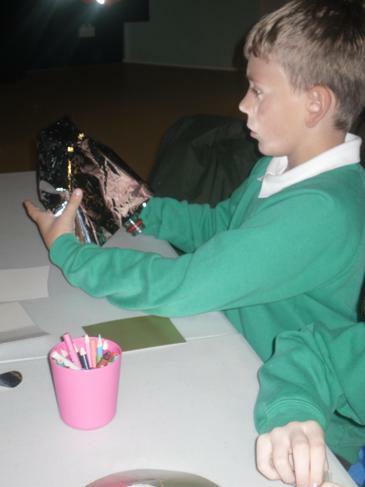 We discovered the functional parts of the spacecraft, how long it would take and some of the preparation that has taken place. 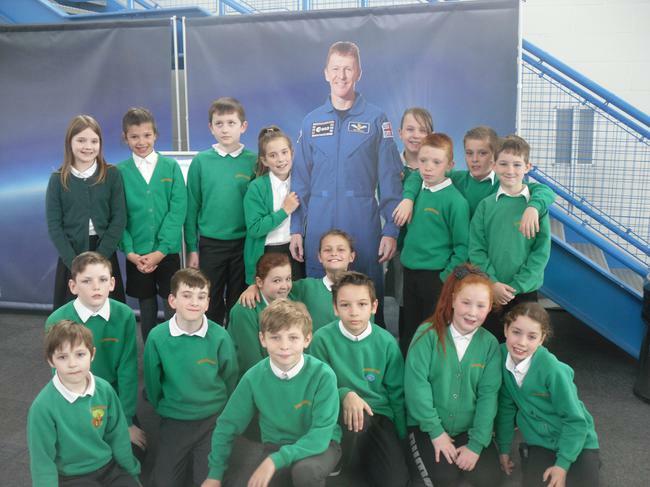 We took inspiration from this amazing achievement from someone who is local to our school and who has made history as the first British astronaut to reach the international space station. 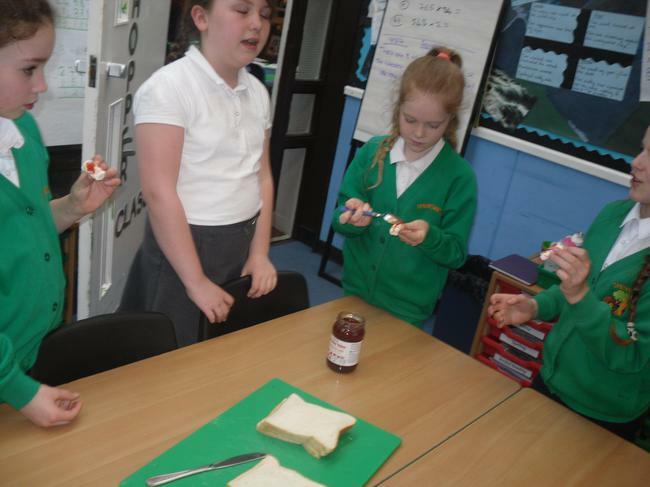 A year 4 expert group had the exciting opportunity to visit Sainsburys in Waterlooville to explore the packaging of products as part of our topic 'Perfect Packaging'. 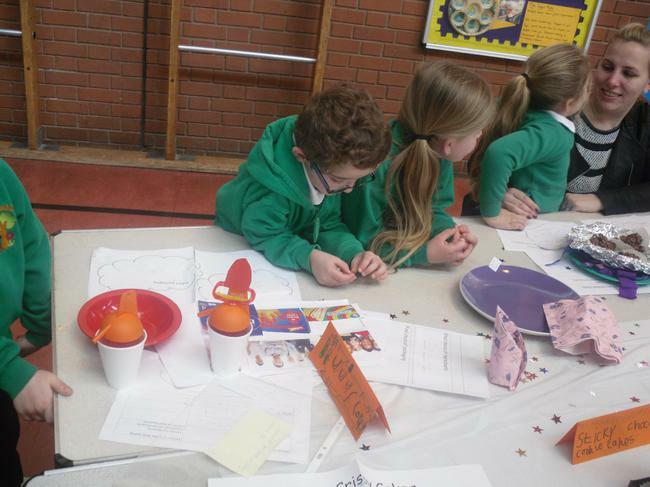 They looked at the different shapes, colours and designs found down the chocolate aisle. 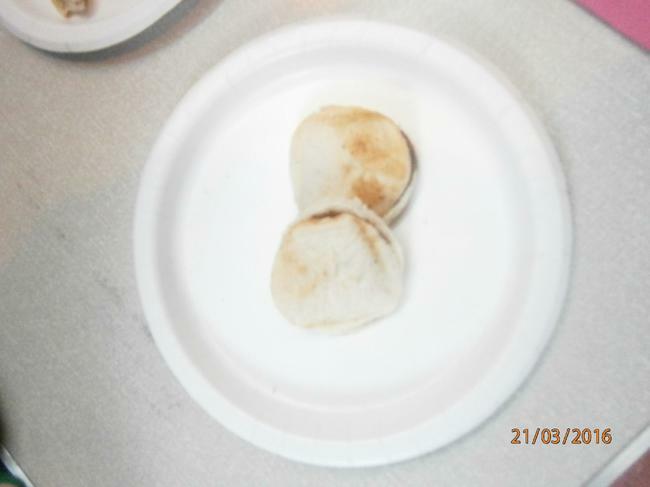 They considered the audience and compared the quality of the item's packaging compared to its price. 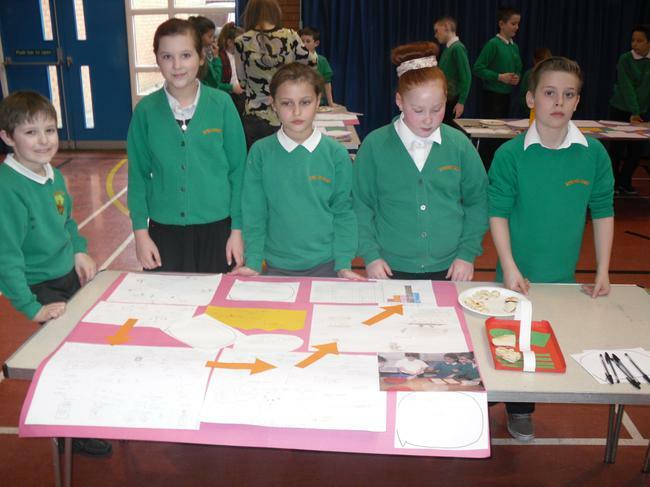 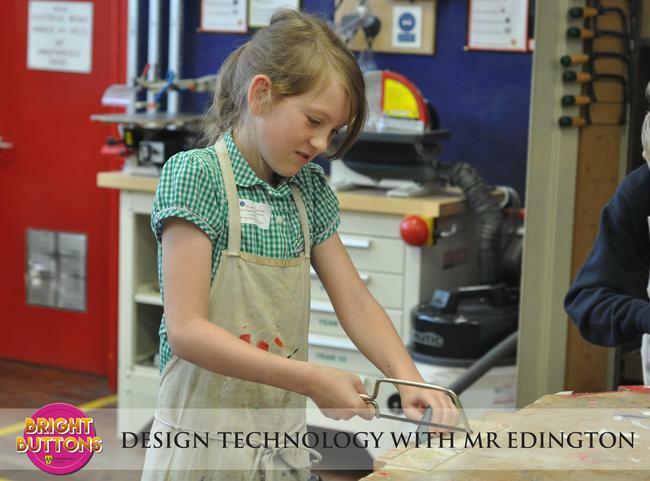 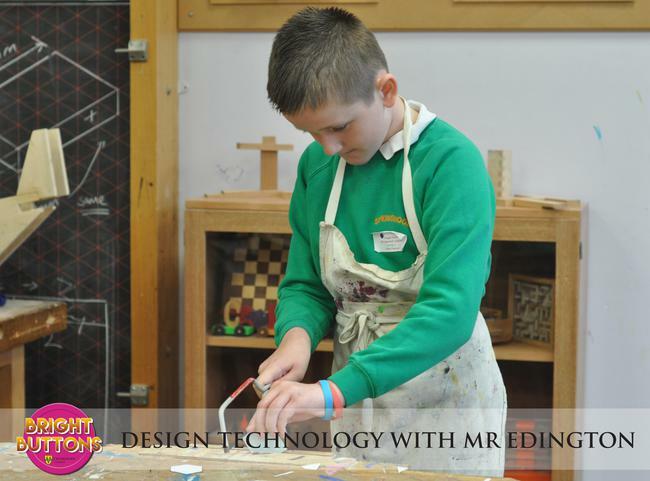 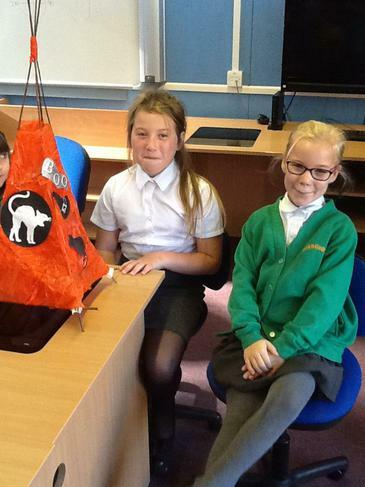 They were able to share their ideas with the rest of the year group back at school. 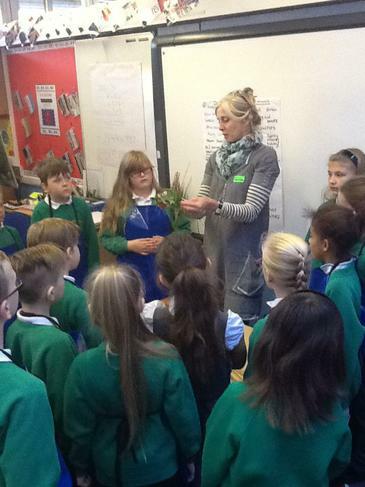 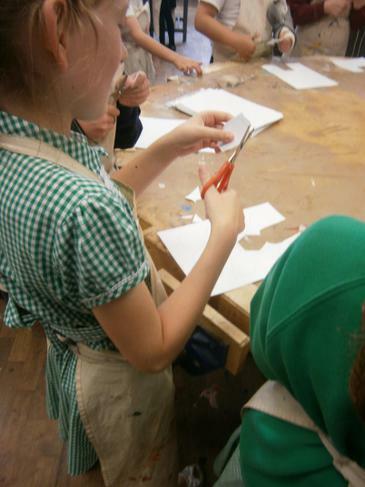 Year 4 had the exciting opportunity to spend half of the day working with Jo Bresloff from the Southampton art gallery. 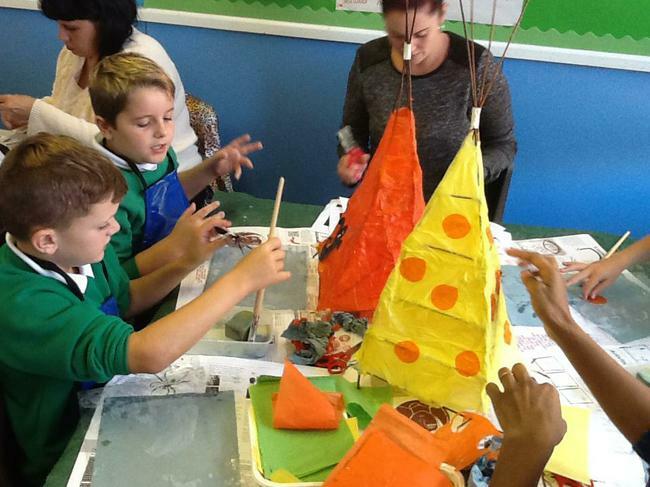 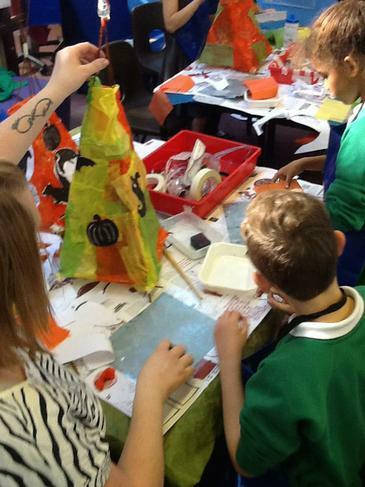 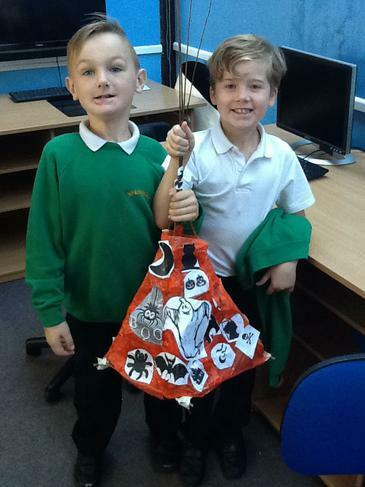 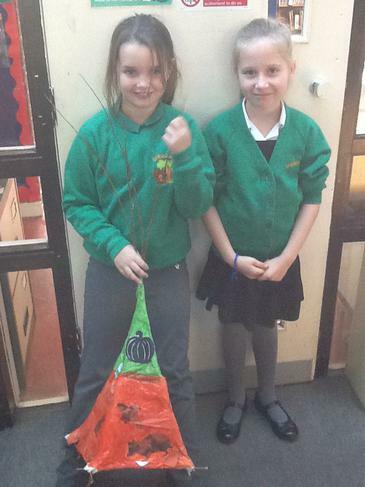 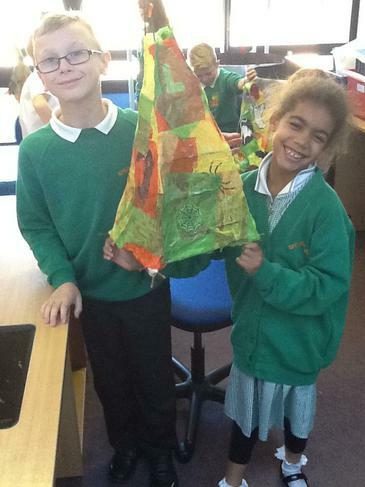 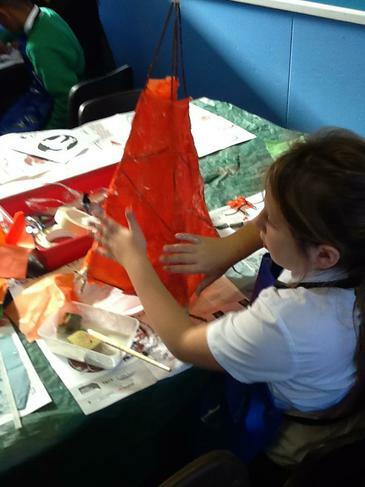 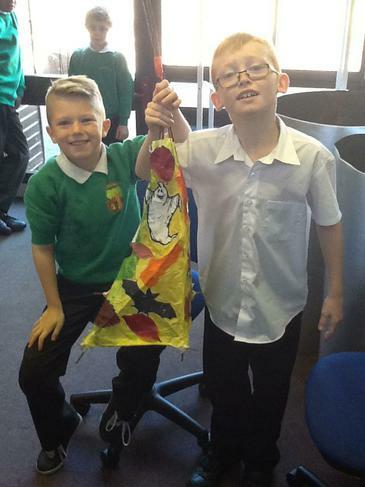 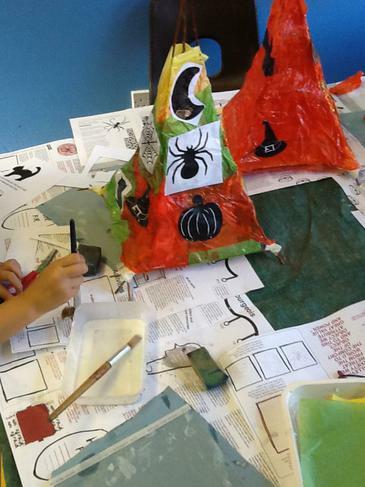 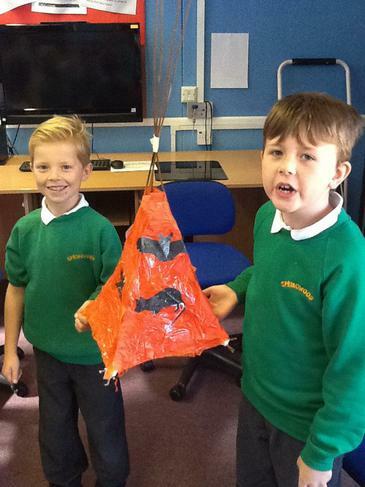 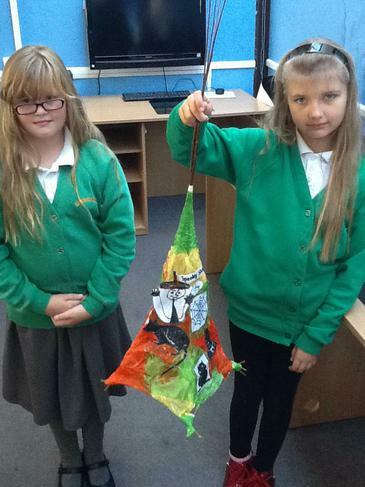 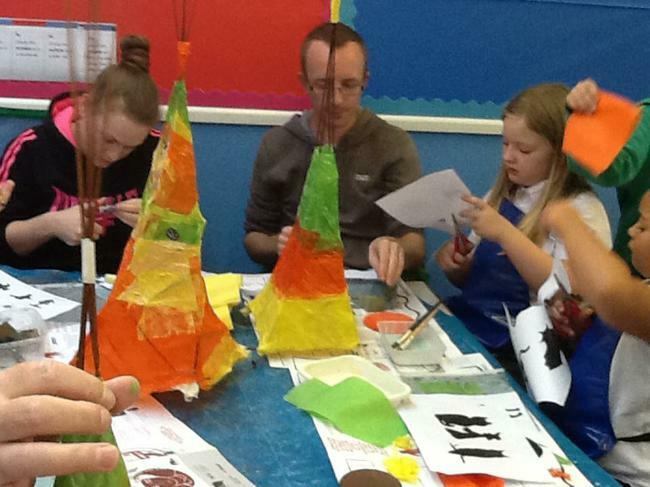 They were able to manipulate, cut and attach pieces of Willow to make lanterns decorated with tissue paper and designs linked to autumn and our upcoming topic of Halloween. 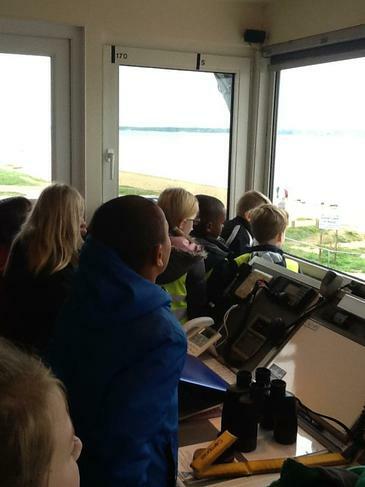 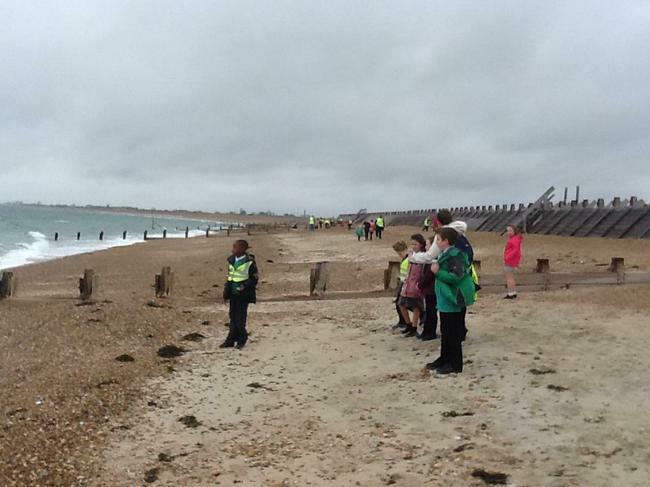 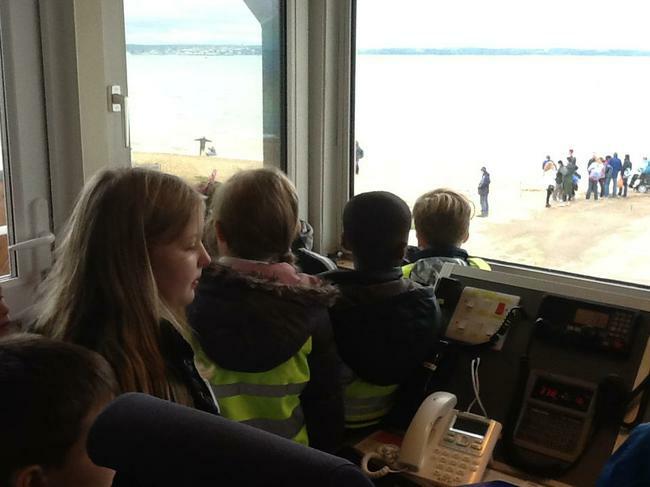 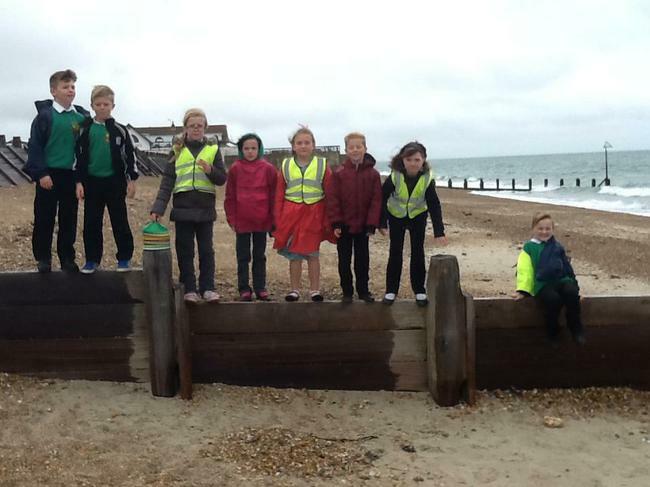 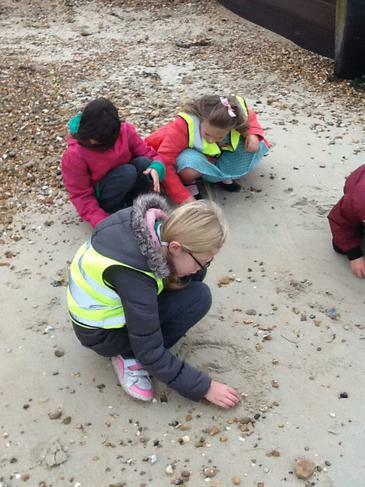 Year 4 had the exciting opportunity to visit Stokes bay in Gosport and Hayling Island beach in order to compare two contrasting beaches. 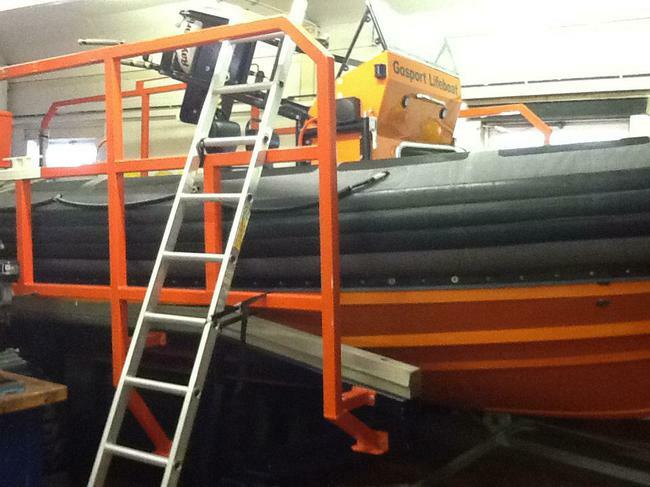 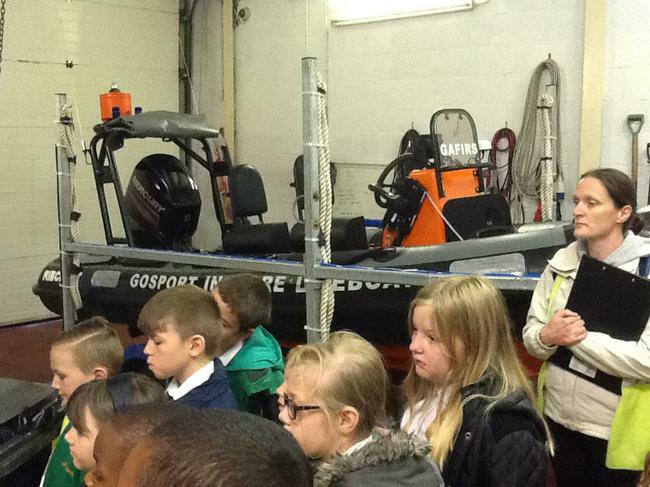 While in Stokes Bay we also were able to visit the GAFIRS lifeboat station and see some of the boats and rescue equipment used to save people in danger at the beach. 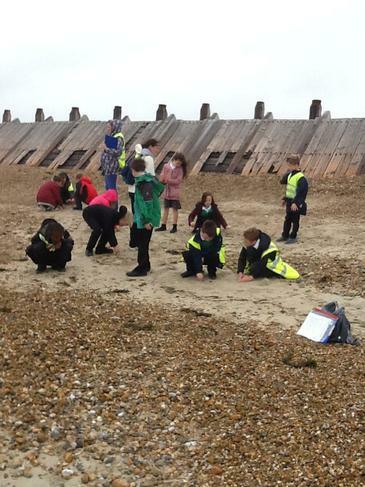 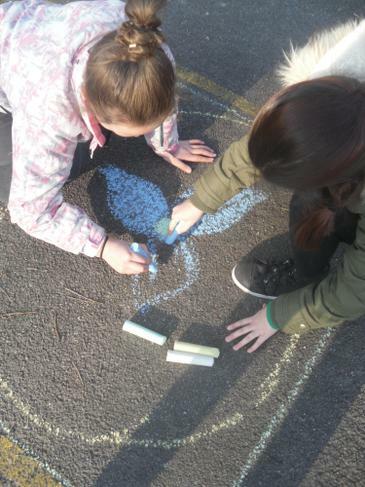 We compared the natural and manmade features of both beaches and were able to identify some of the changes that have occurred to the coastline through longshore drift and erosion. 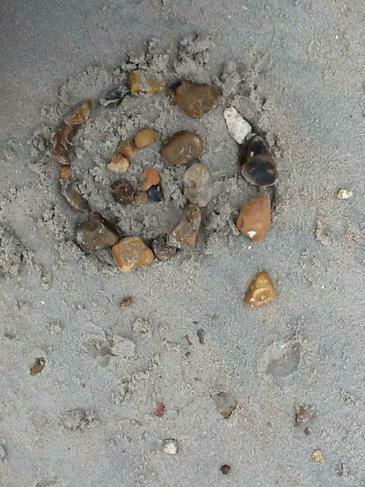 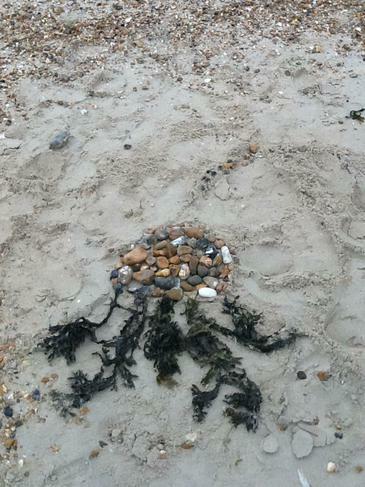 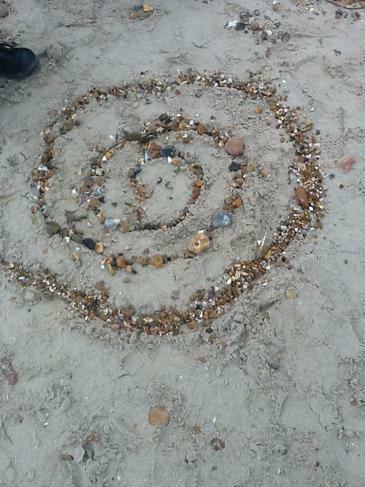 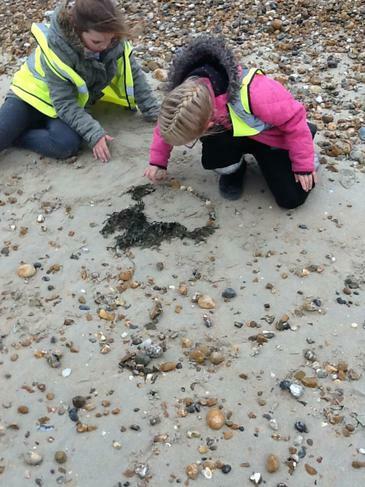 We also created some natural art on the beach in the style of Andy Goldsworthy, some of the creatures created were fossils and Jellyfish as it linked to that area. 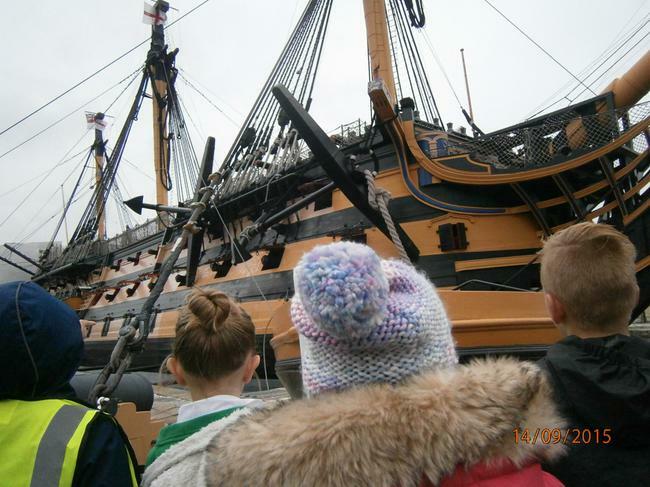 To support Year 5's historical enquiry of the HMS Victory and Admiral Lord Nelson, we visited Portsmouth Historic Dockyard. 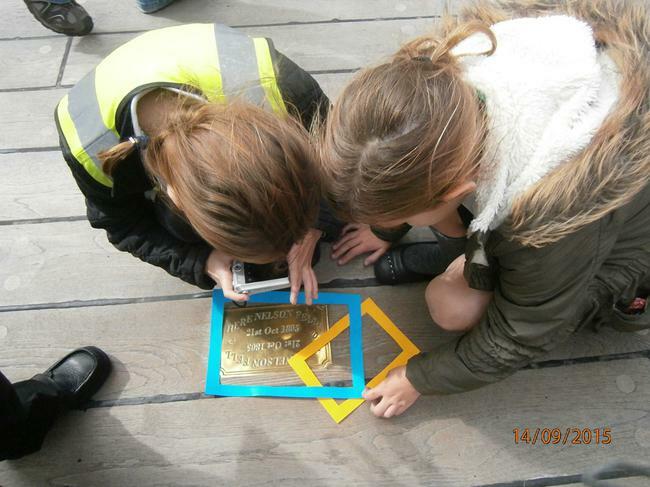 We were able to explore on board the HMS Victory and compare the exterior to modern war ship; HMS Dauntless. 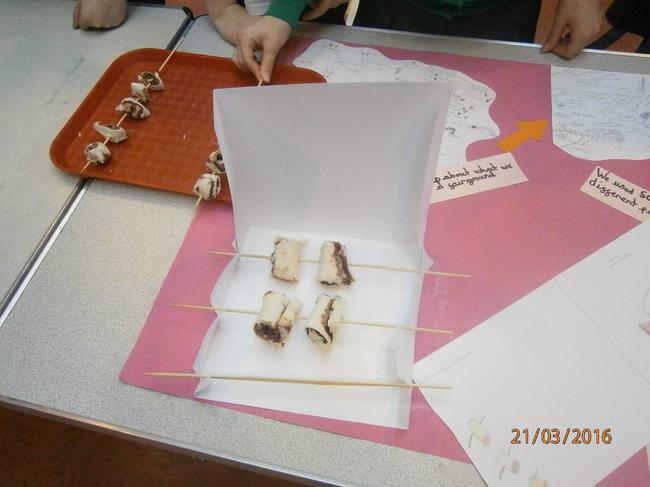 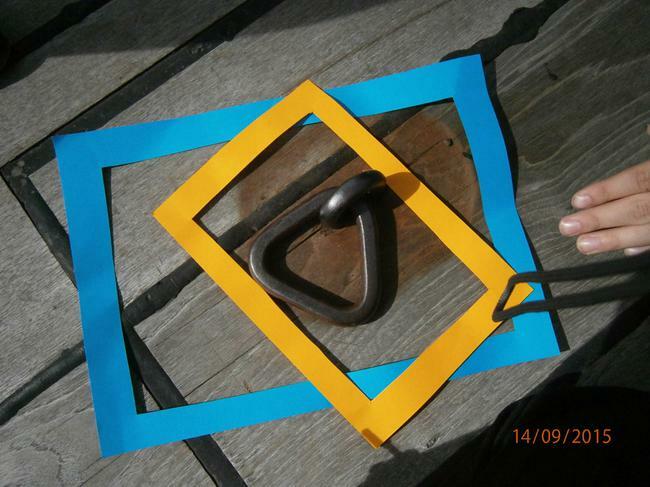 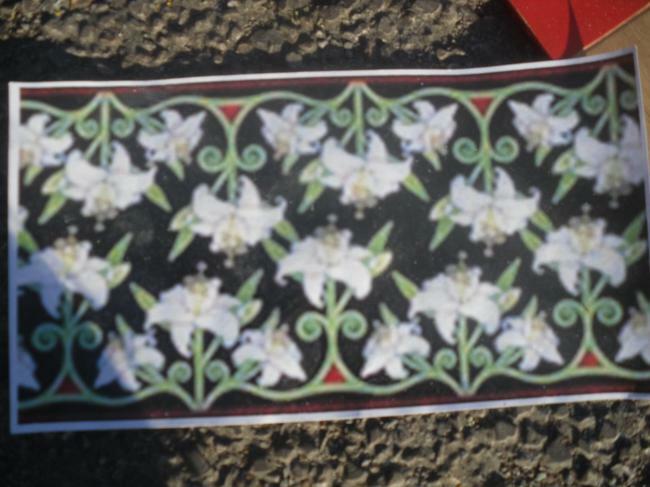 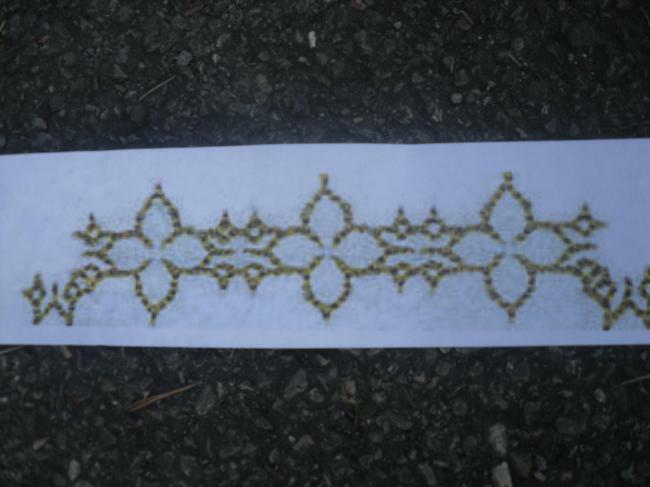 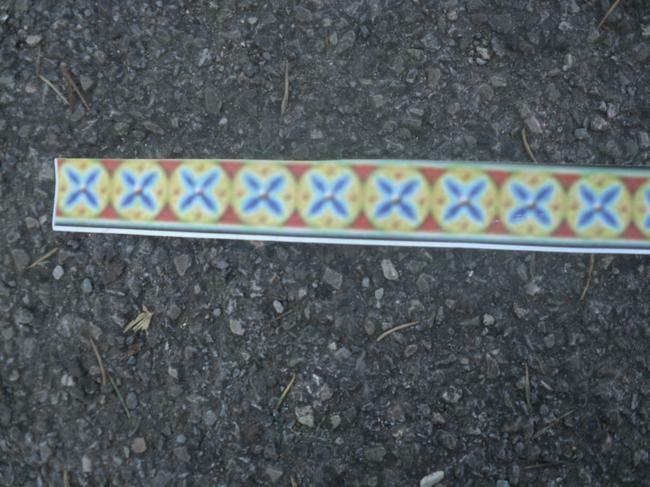 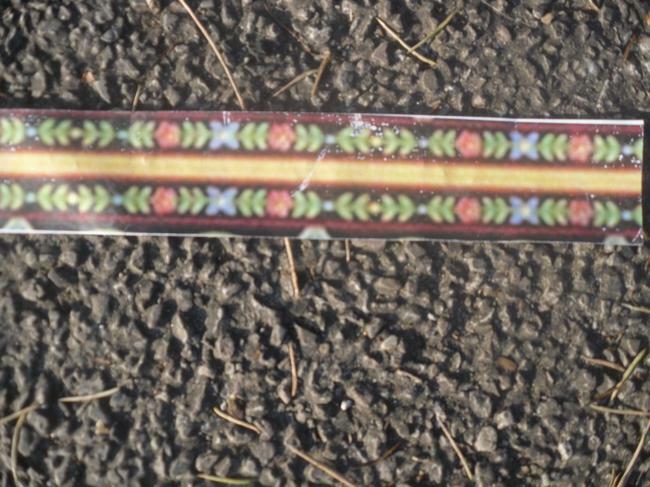 We used our photography skills to capture different textures found amongst the historical artefacts. 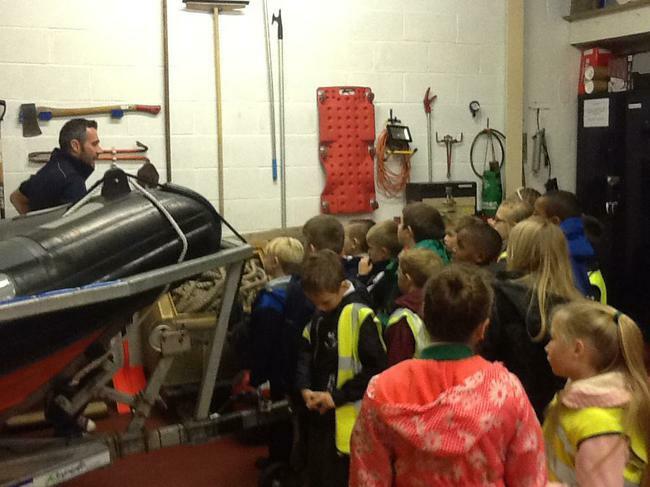 We also visited the Royal Naval Museum which took us on a journey through time of the development of the Royal Navy. 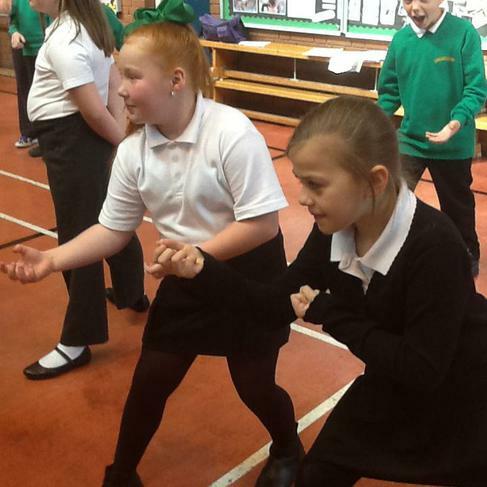 Year 5 were transported back to 1805 and became the crew of HMS Victory. 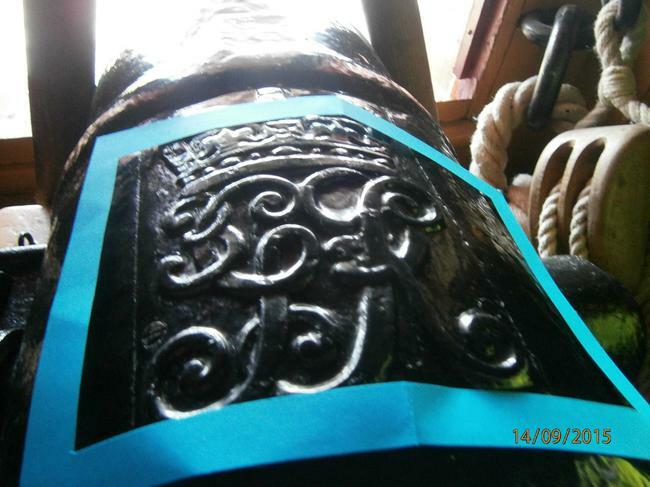 The crew prepared the ship ready for battle against the French and Spanish and followed commands from Lord Nelson, the admiral of the fleet. 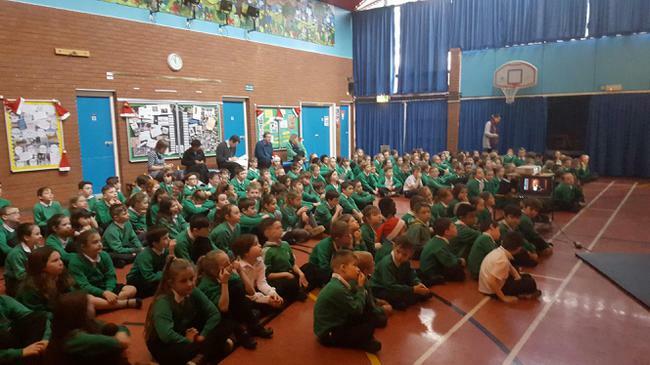 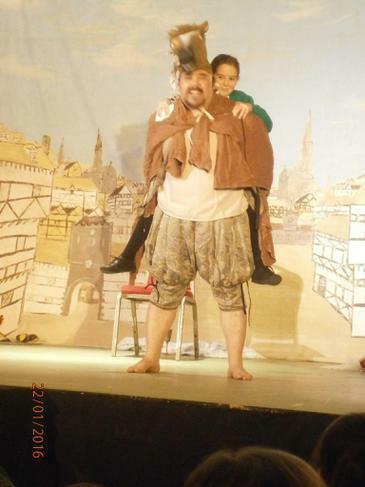 We are proud of the positive feedback we received from Open Box Theatre Company, who said, "All children participated and were totally engaged. 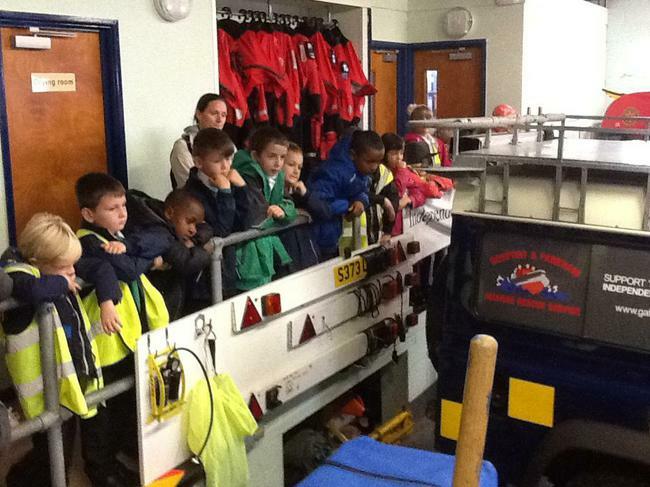 lots of knowledge was shared and new things learnt. 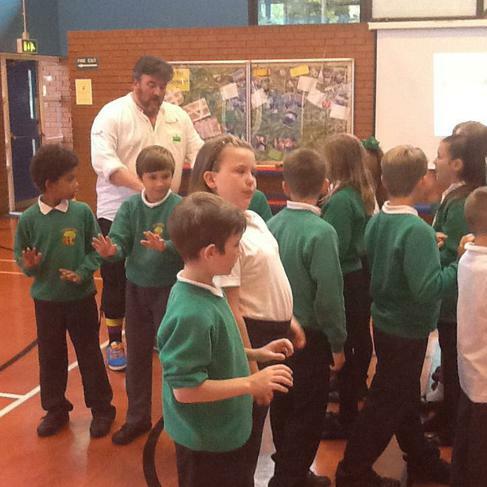 Thank you Springwood." 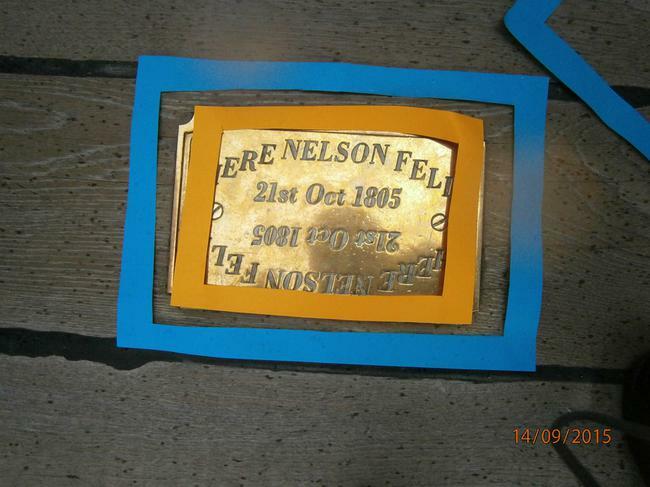 Lord Nelson was born in 1758 and died at The Battle of Trafalgar in 1805. 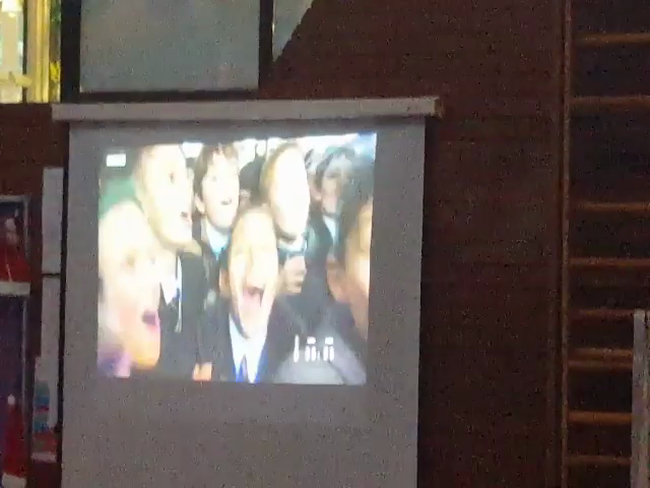 How old was he? 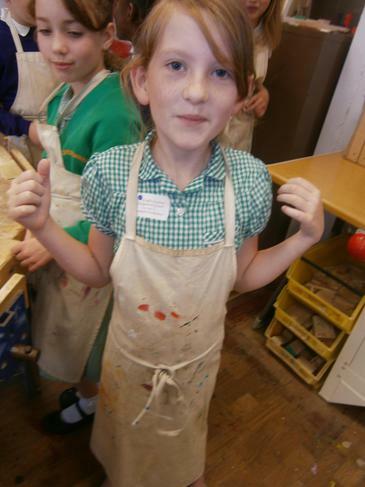 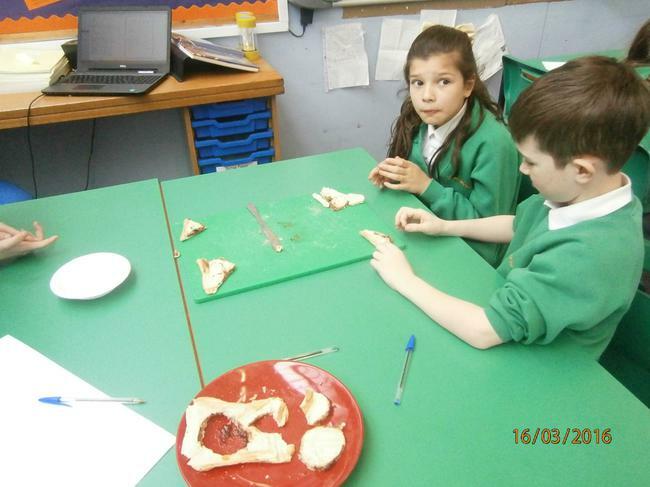 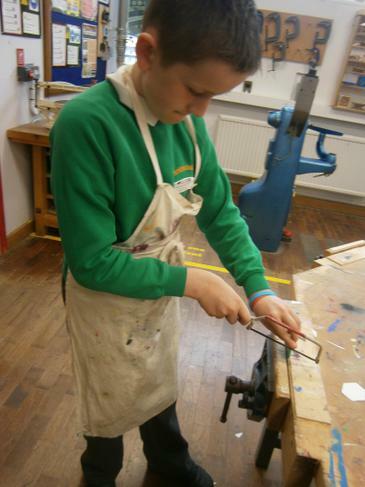 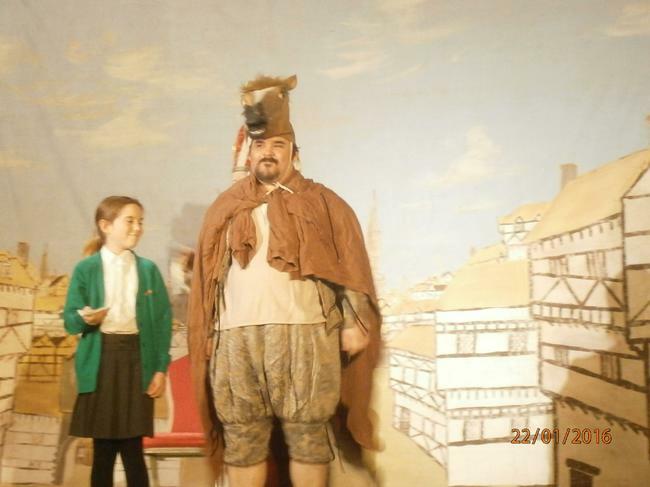 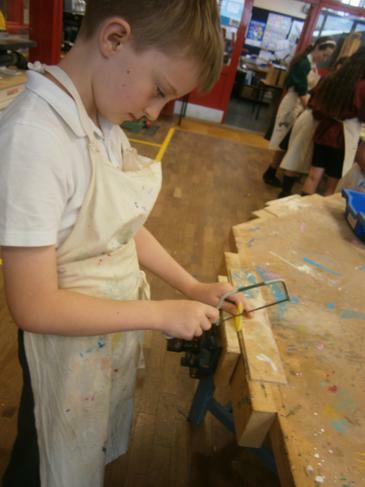 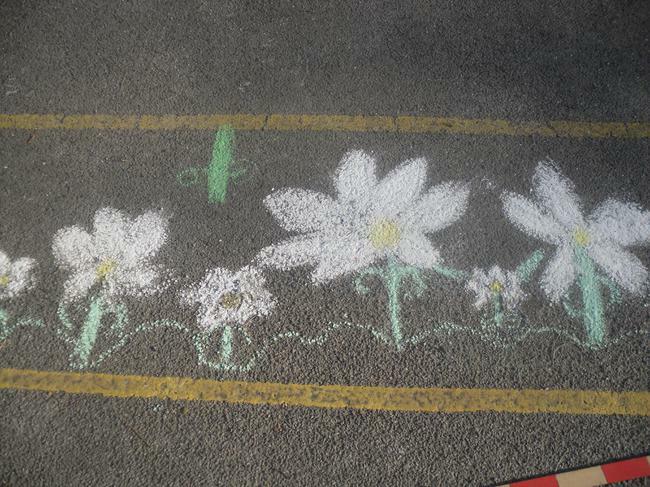 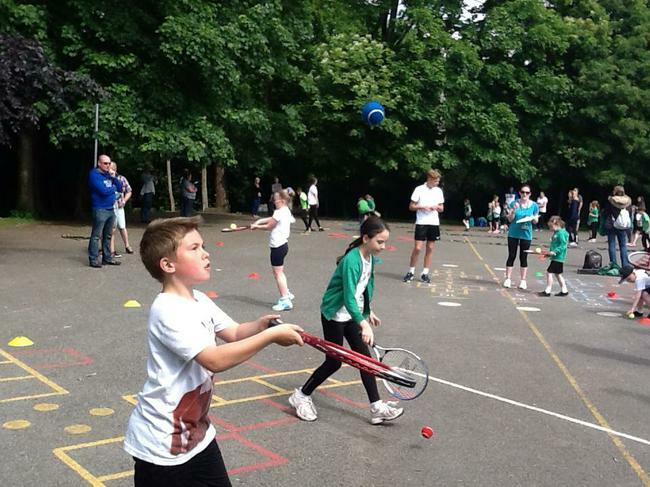 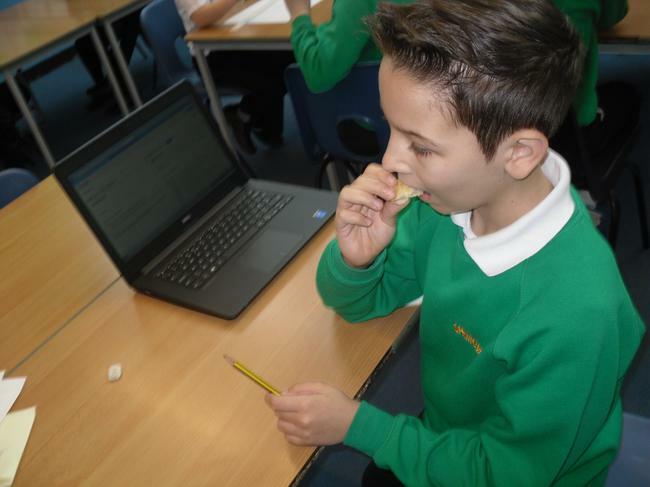 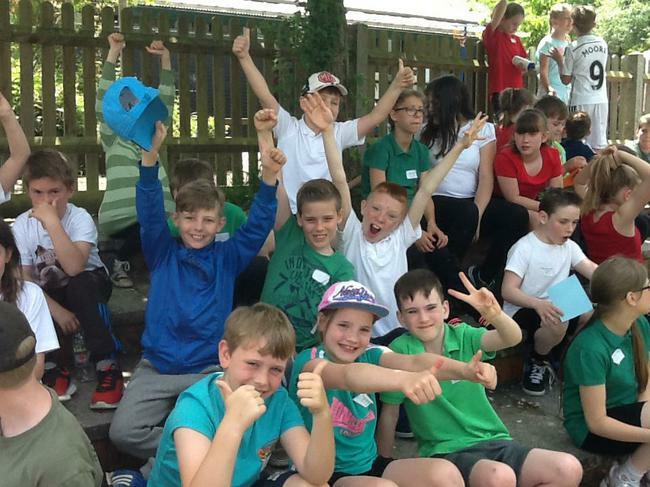 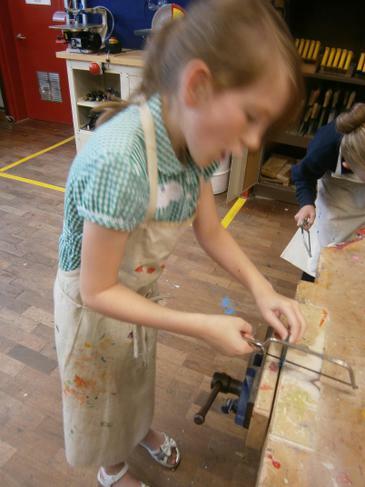 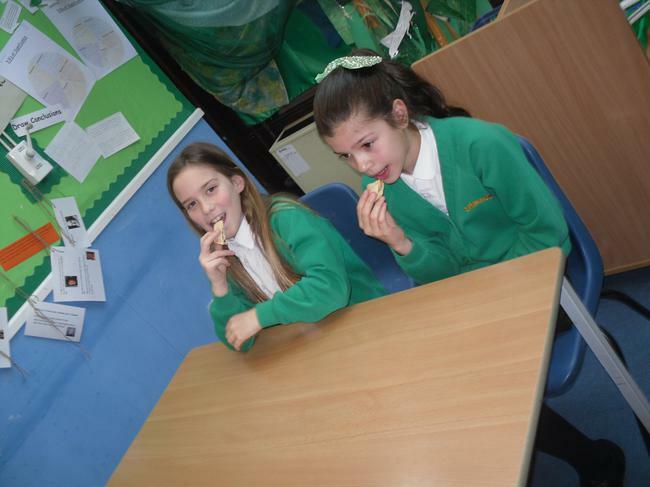 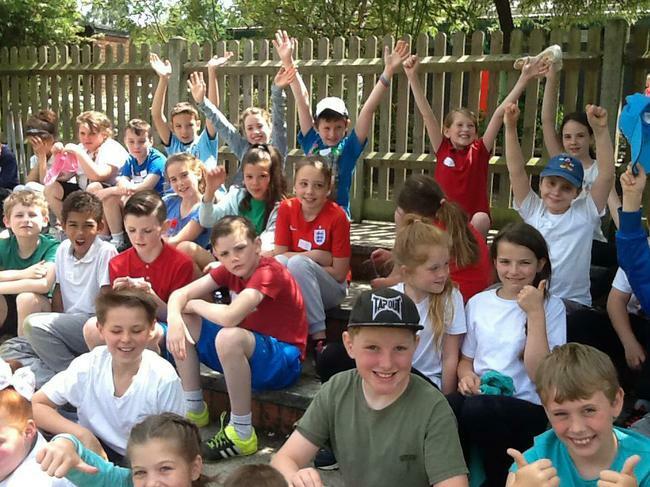 Take a look at the snippets below to see what Year 4 and 5 got up to last year! 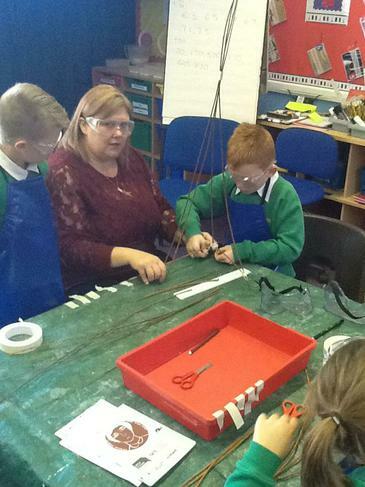 Please support your children with learning the spellings from the new National Curriculum. 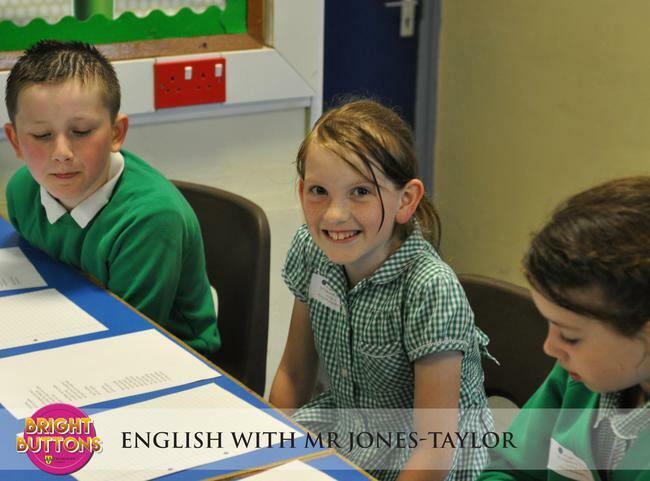 In addition to this, your children will be learning spelling patterns in class and can apply the rules at home.